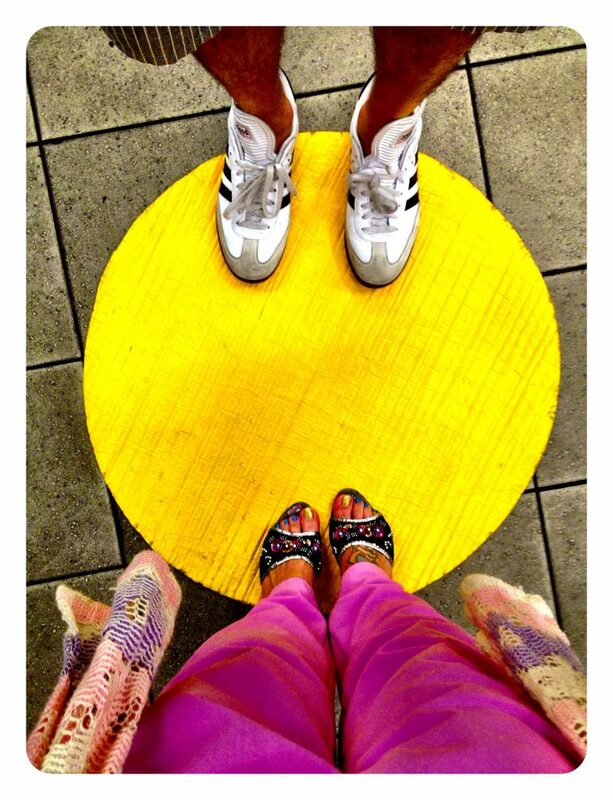 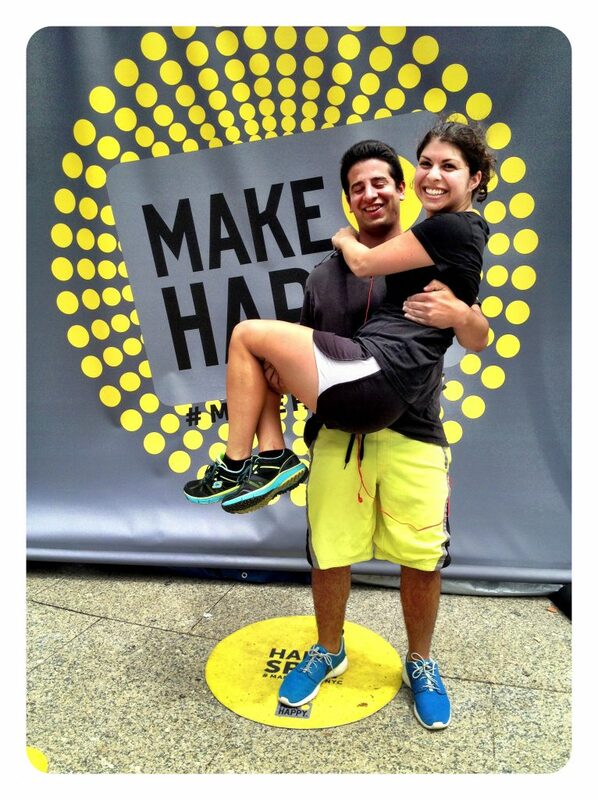 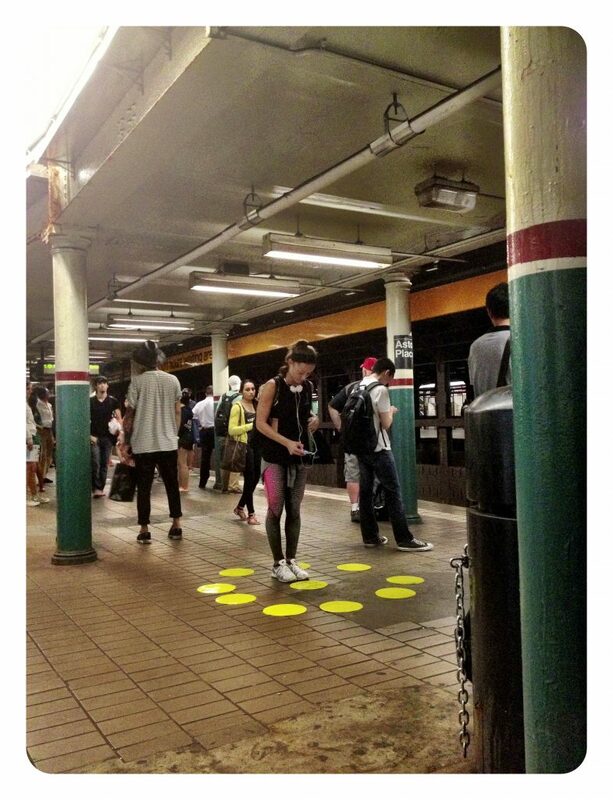 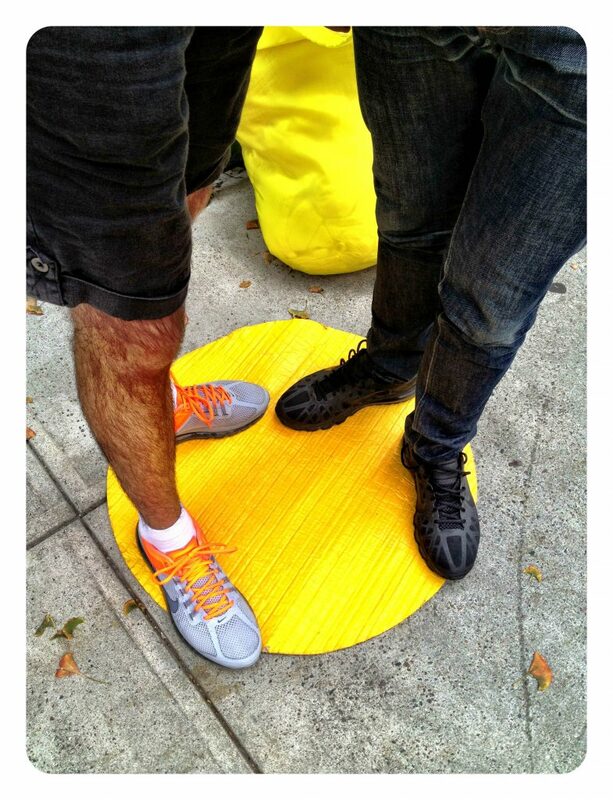 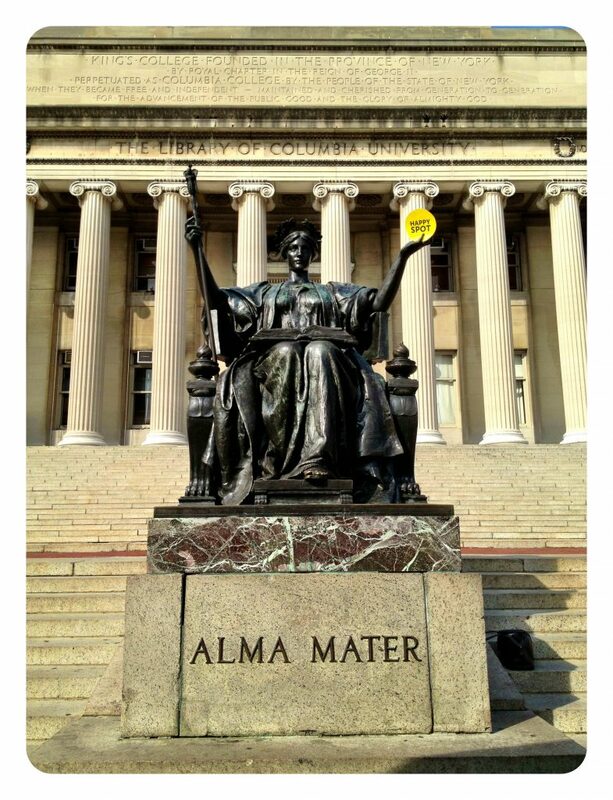 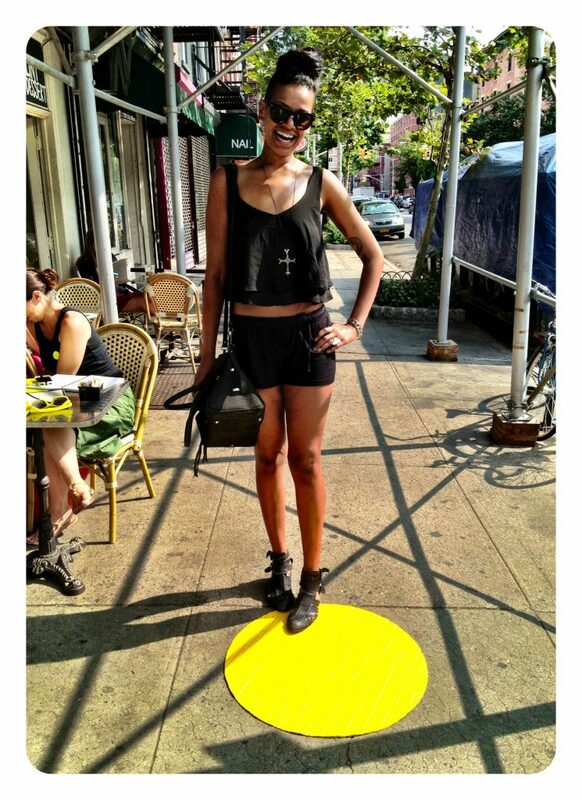 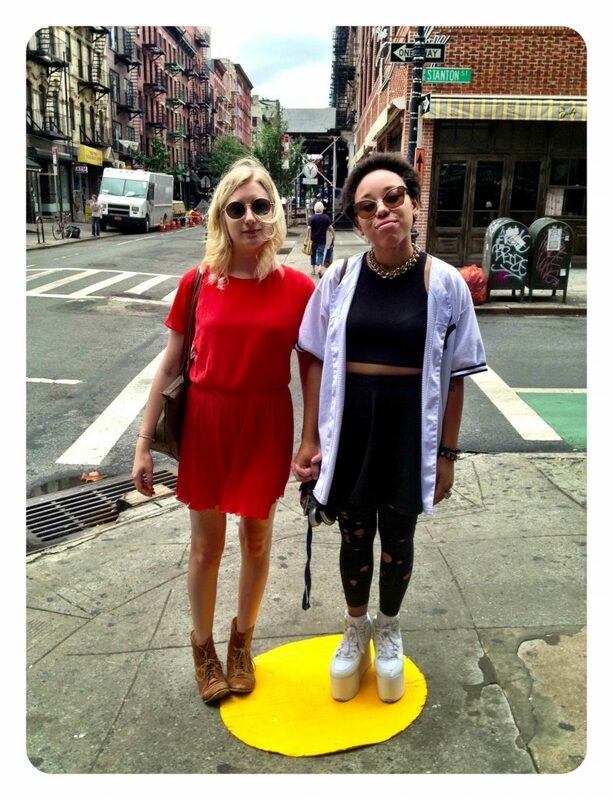 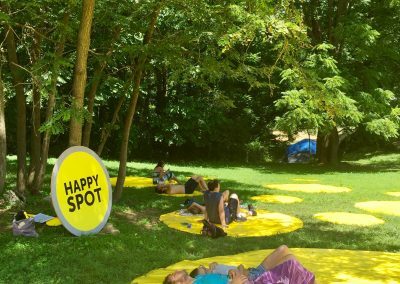 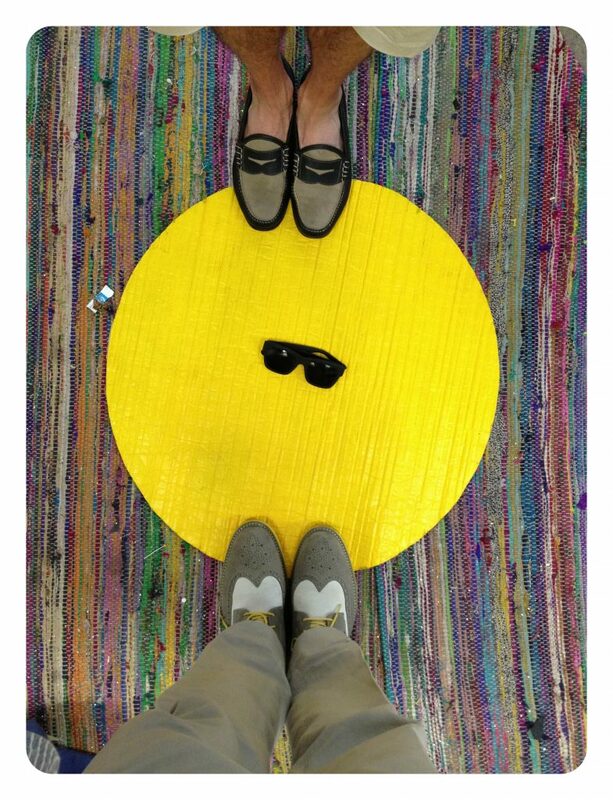 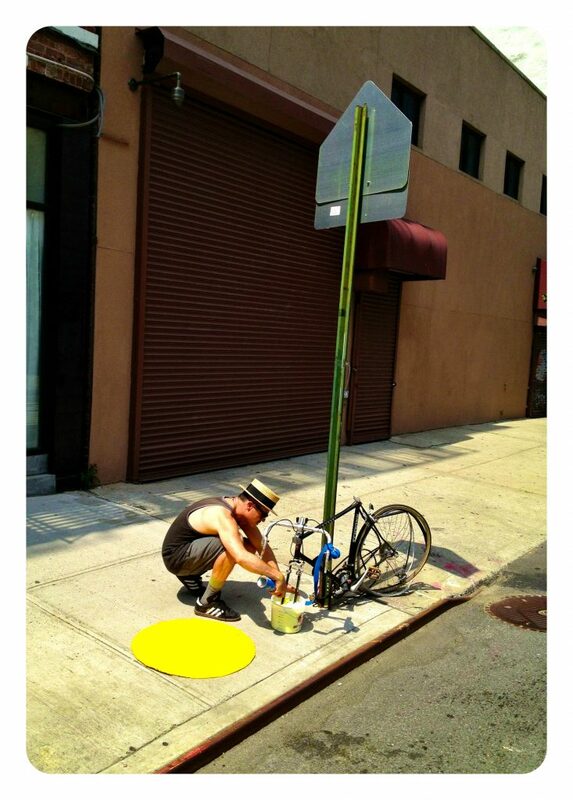 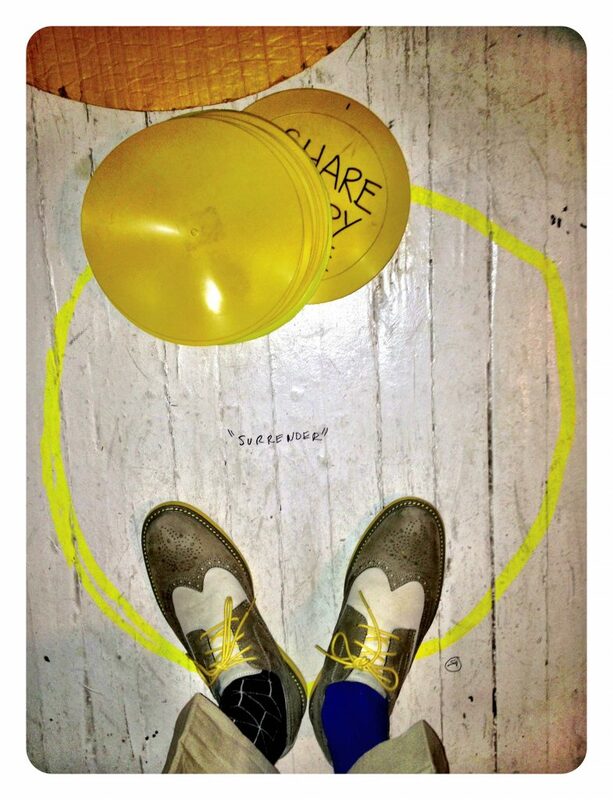 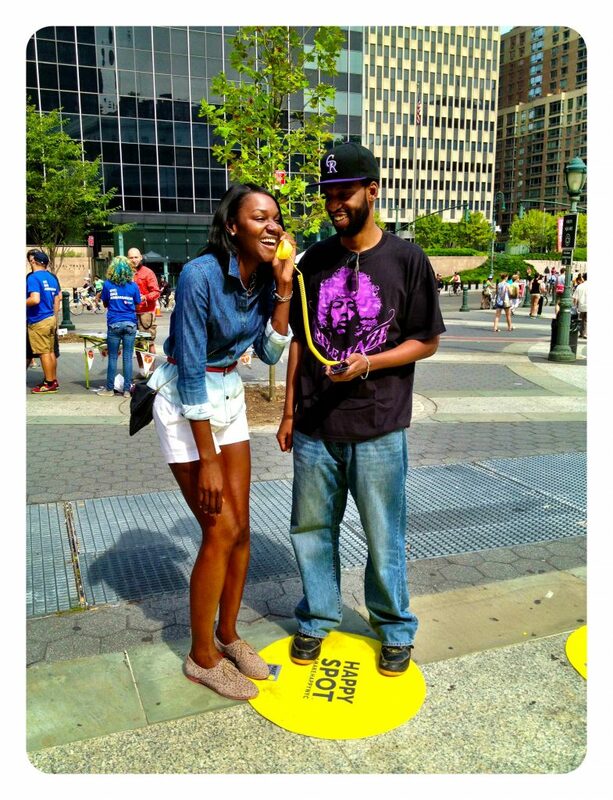 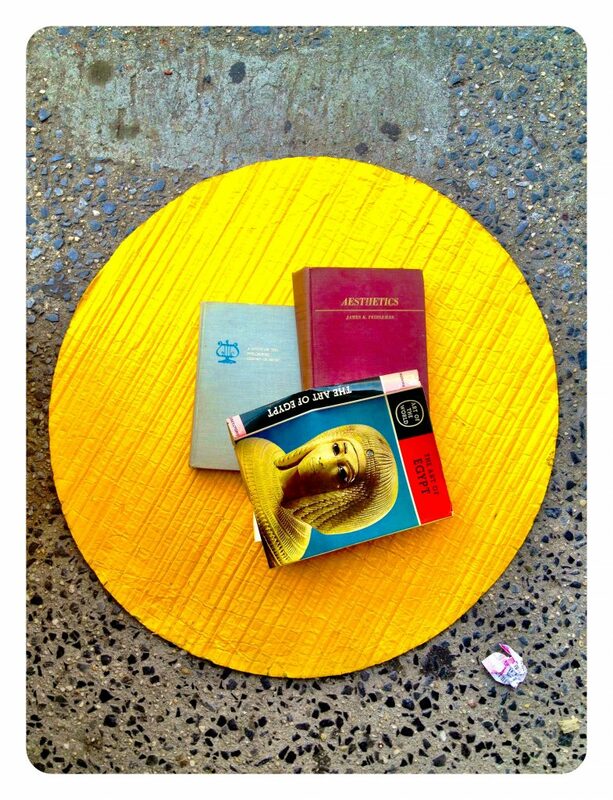 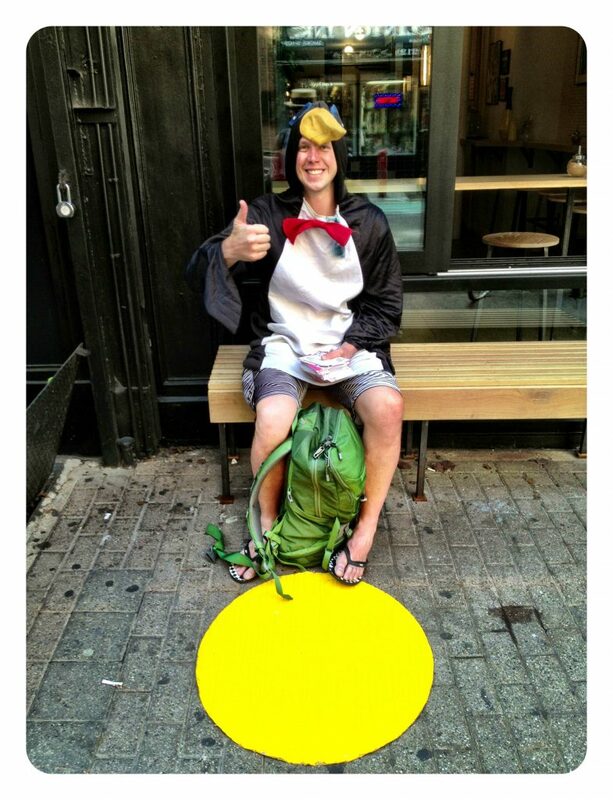 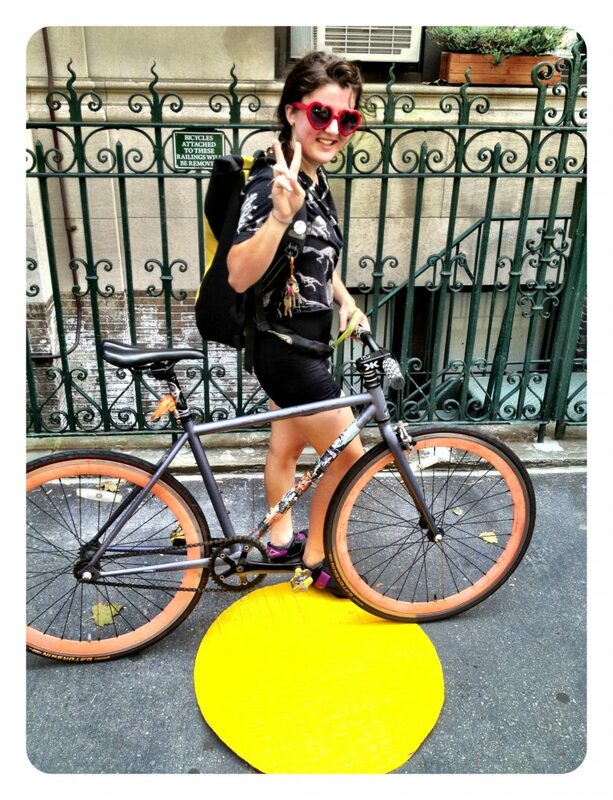 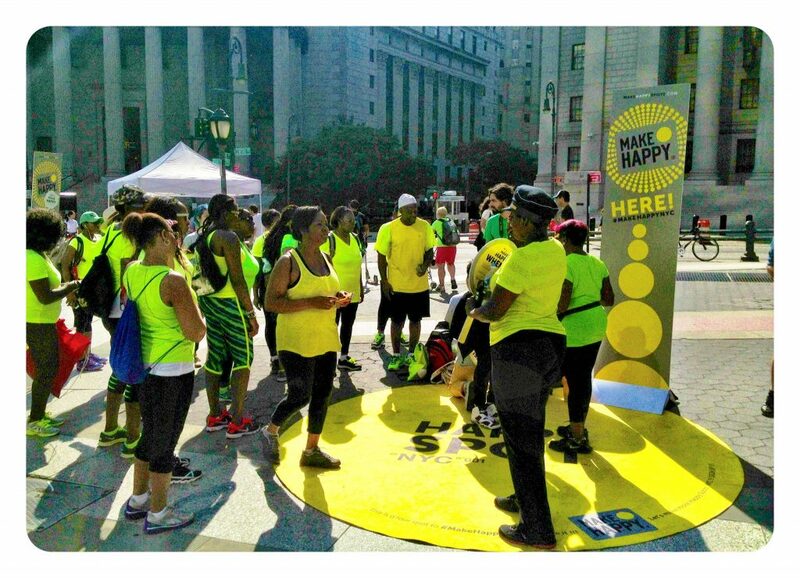 A conceptual project made up of bright yellow circles in public spaces that instigate and spread happiness. 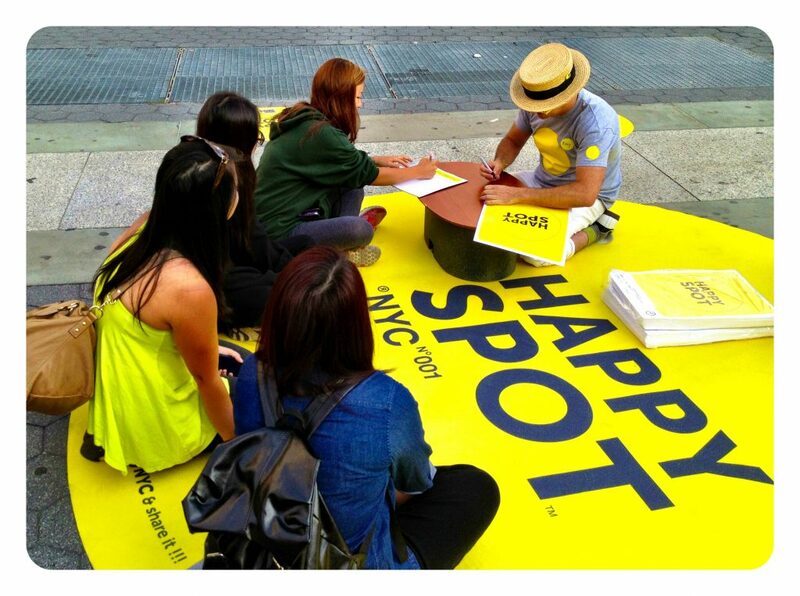 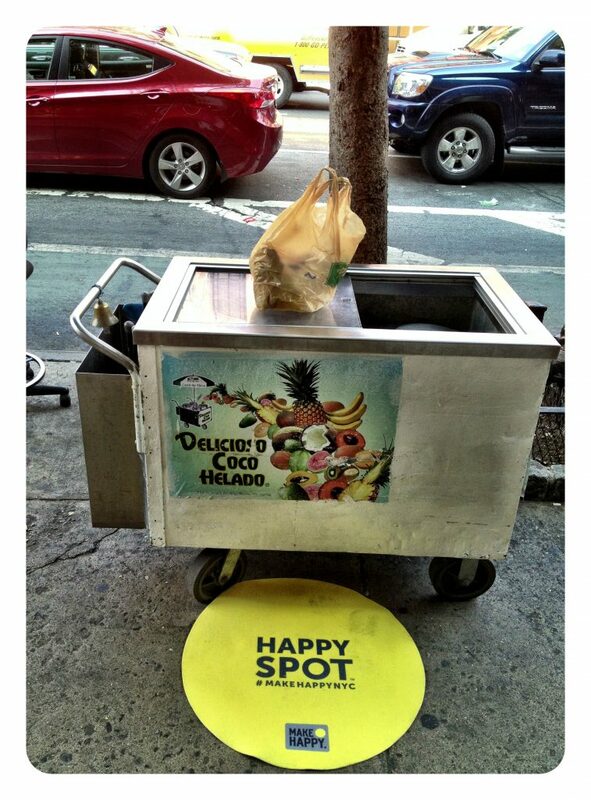 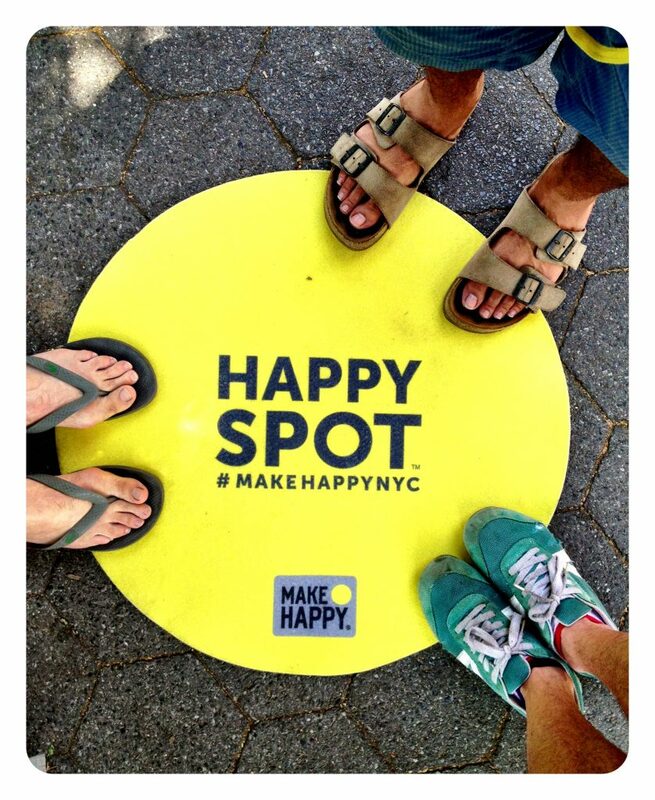 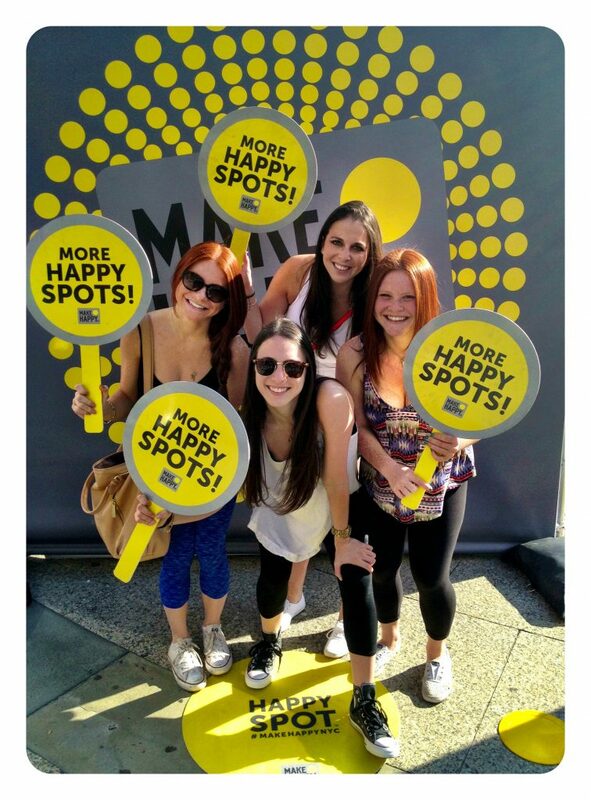 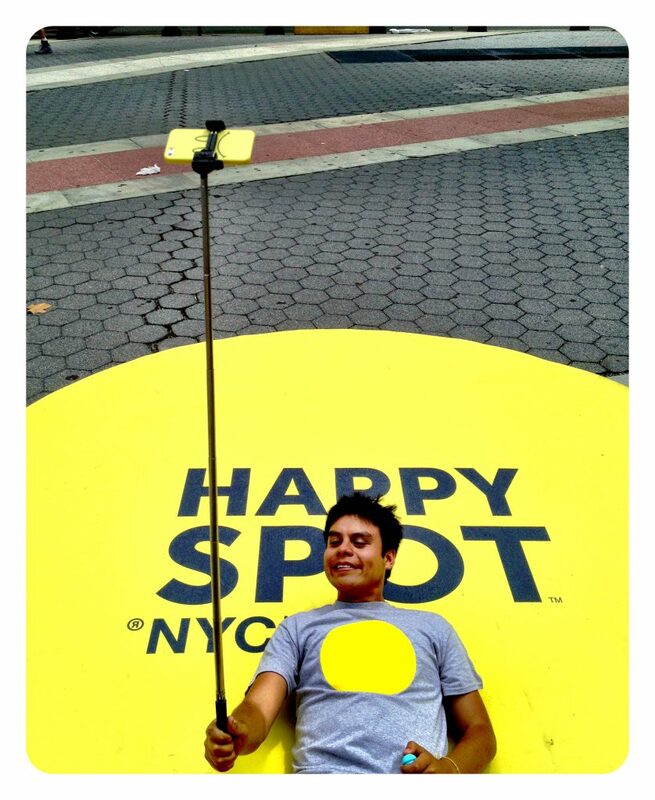 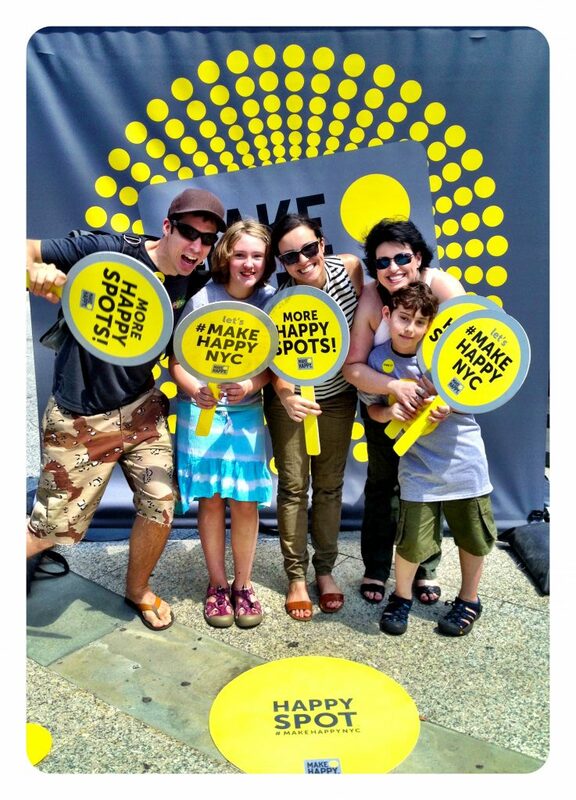 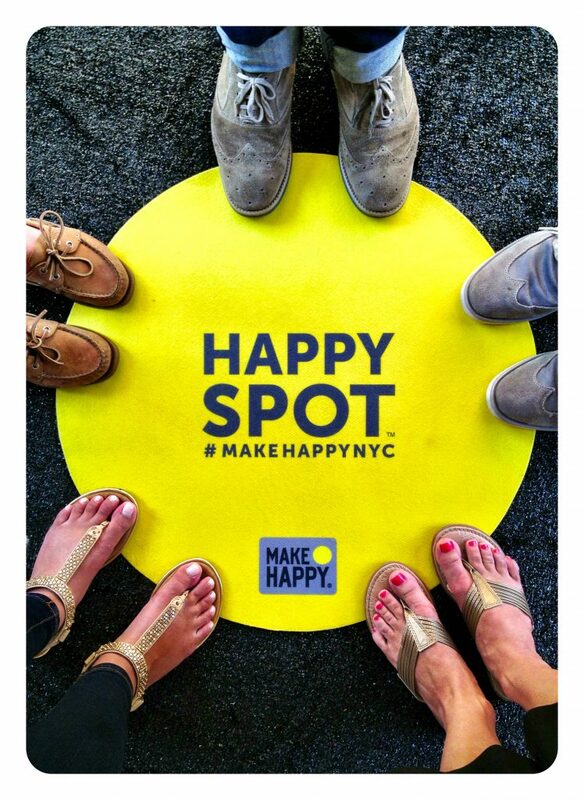 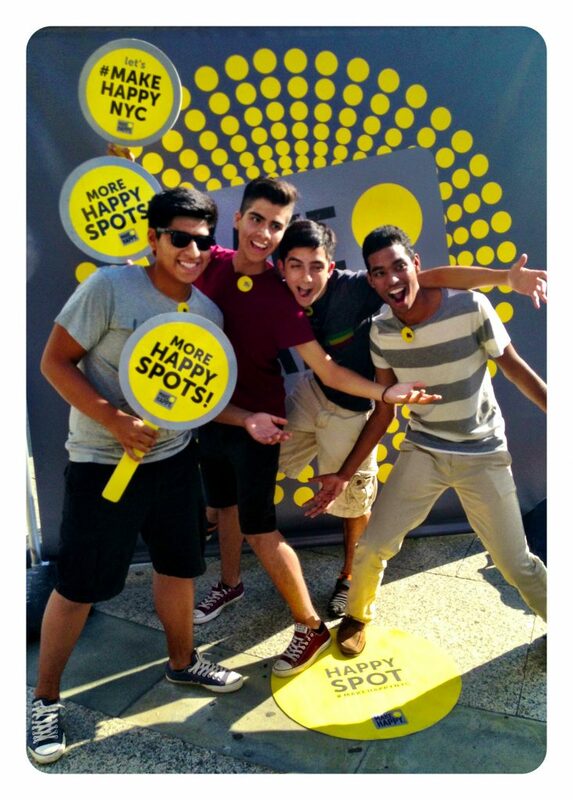 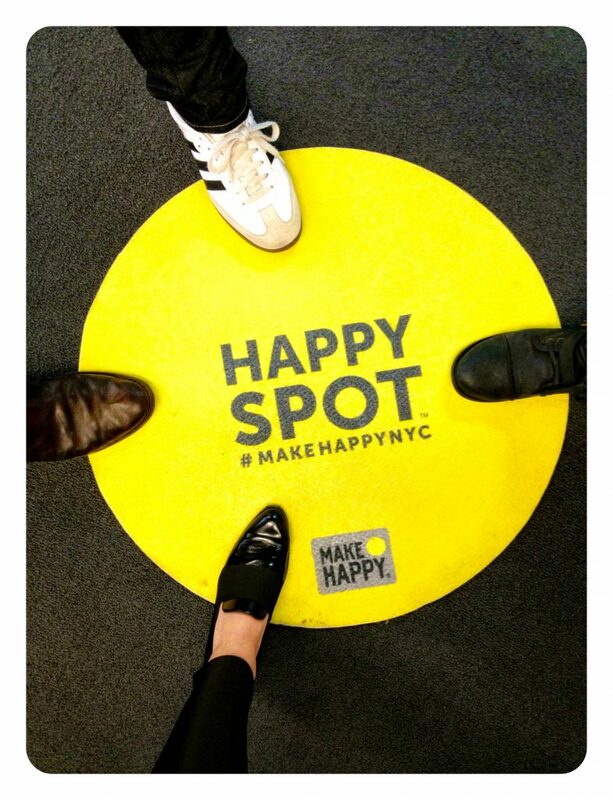 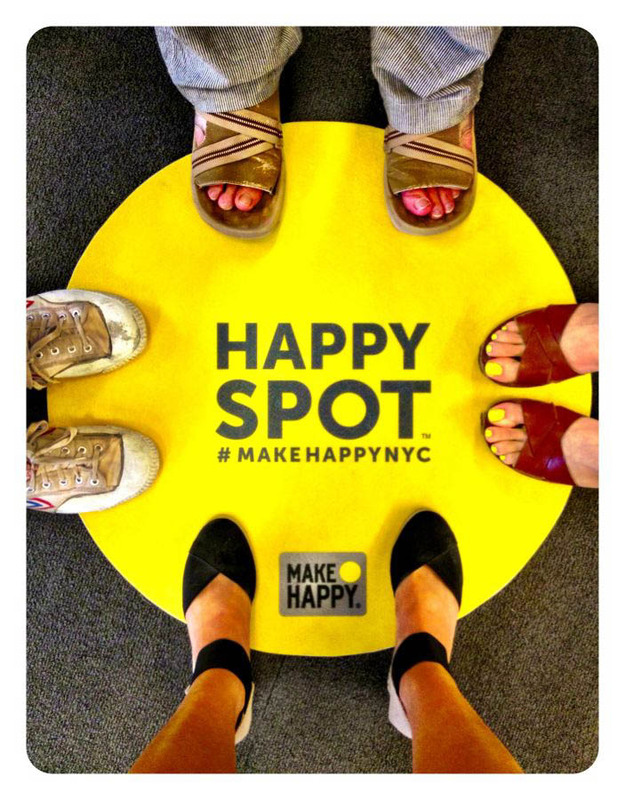 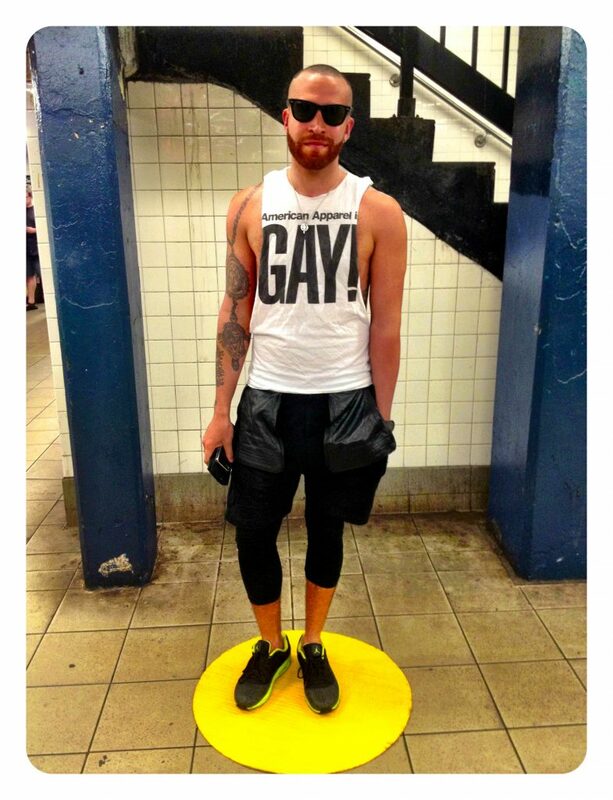 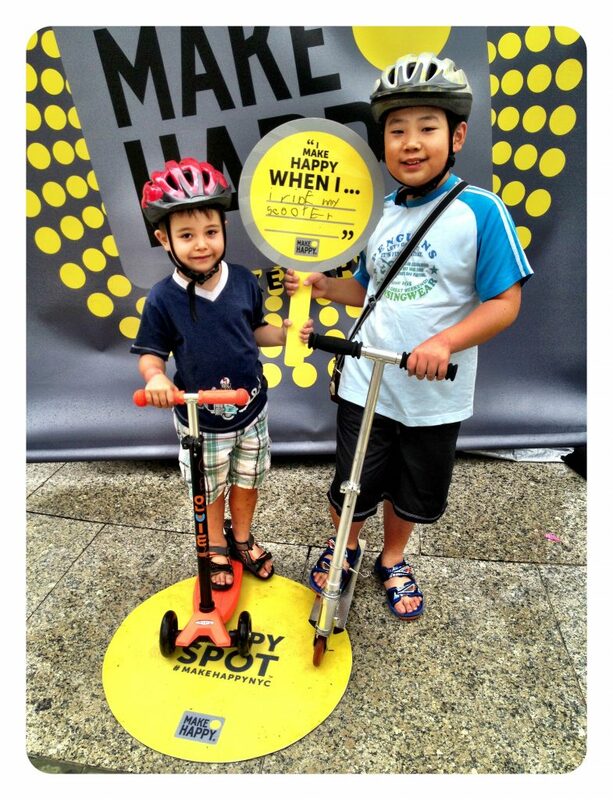 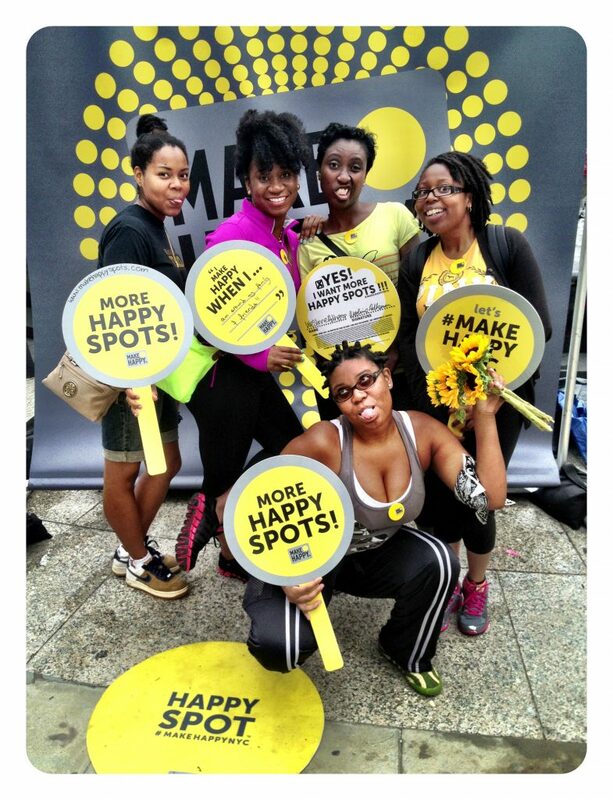 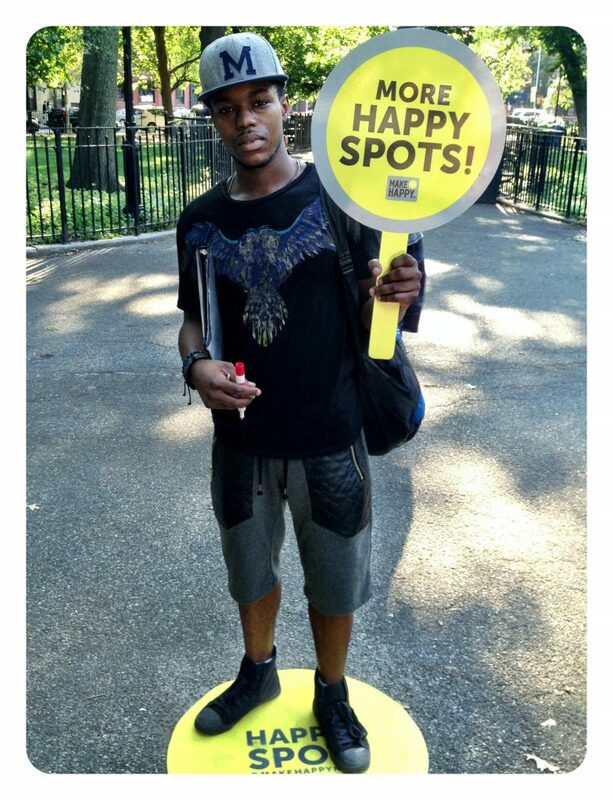 Happy Spots are public “spaces” to turn Optimism into action. 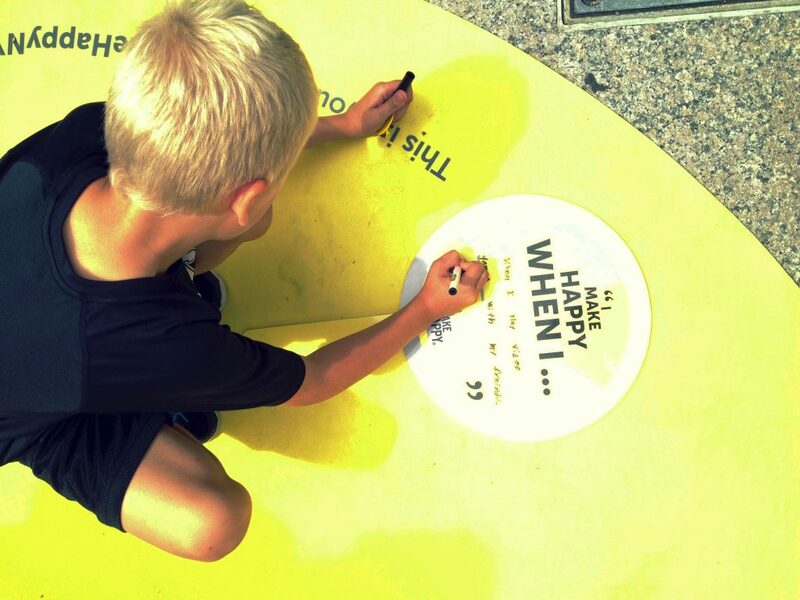 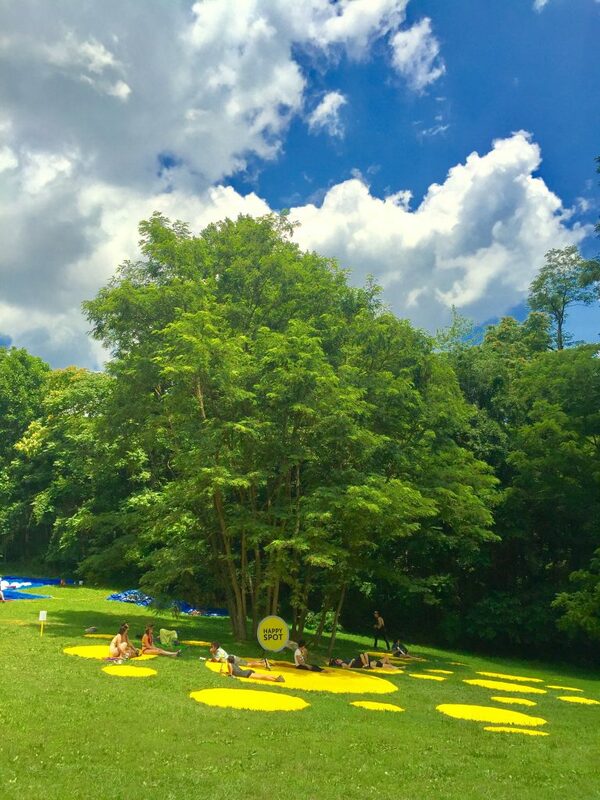 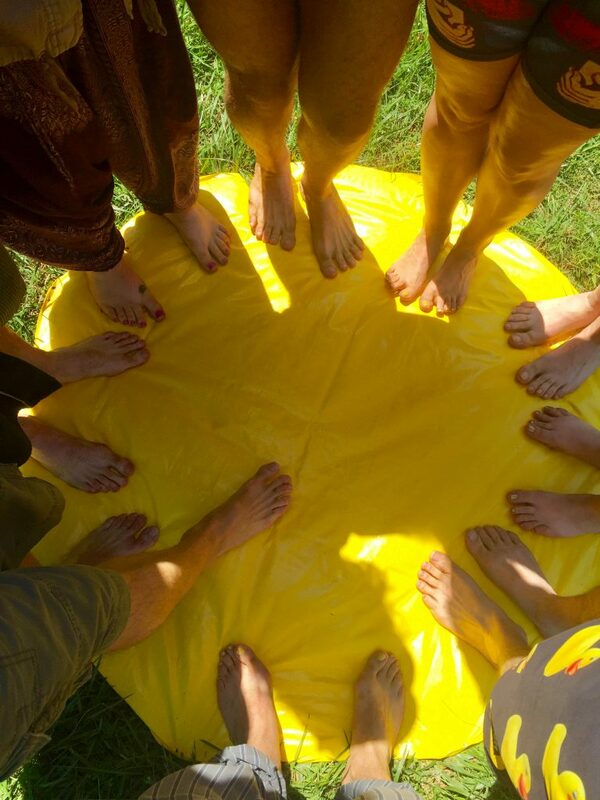 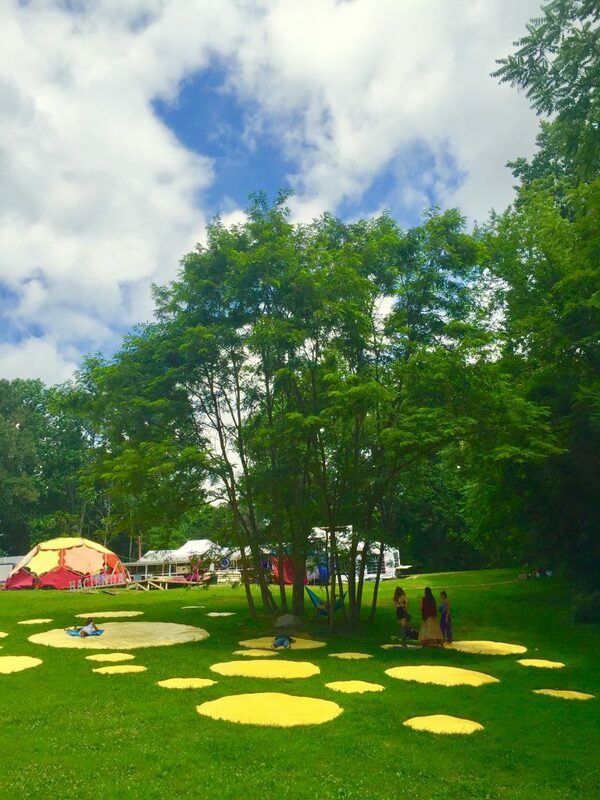 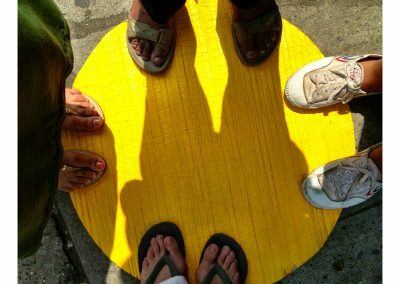 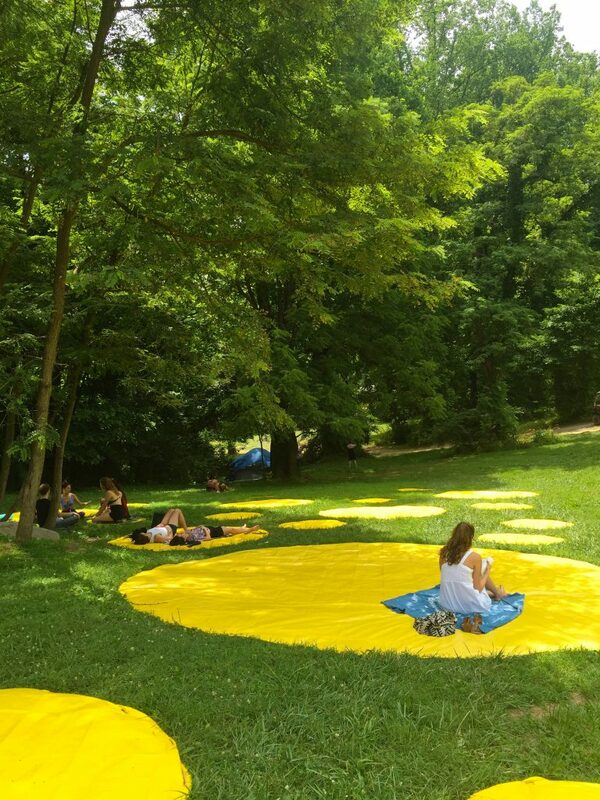 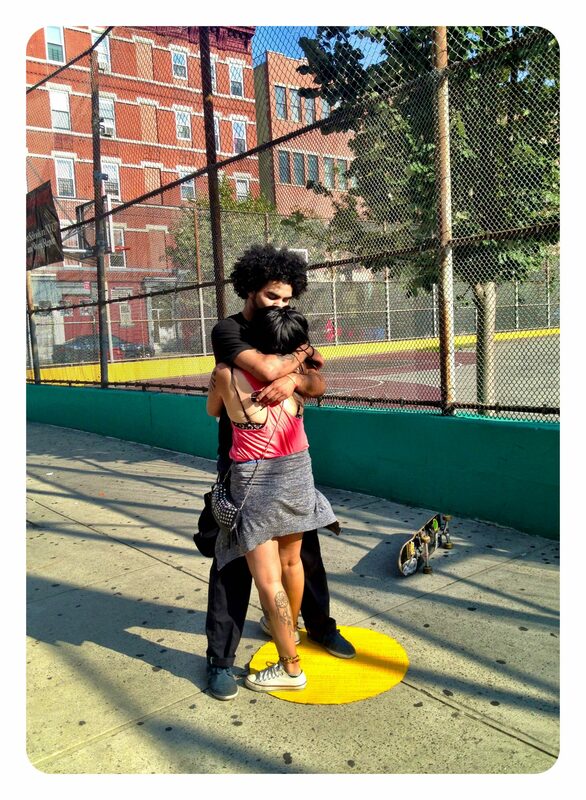 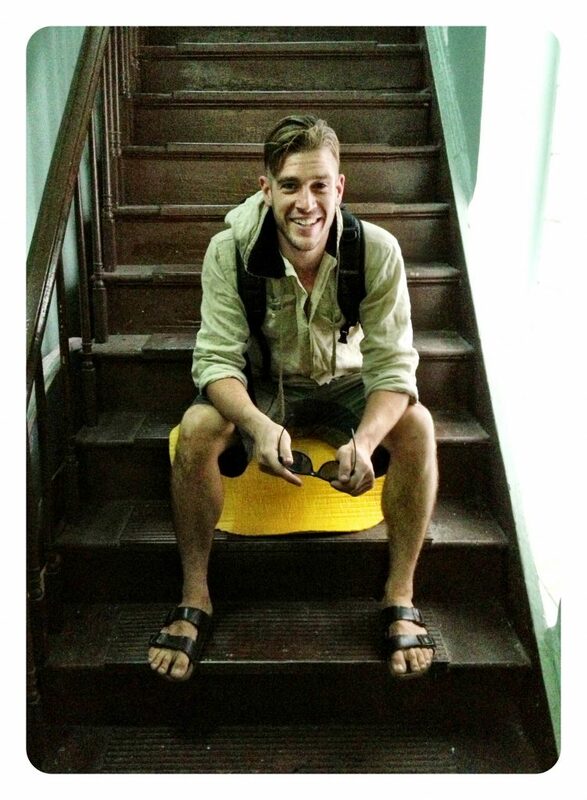 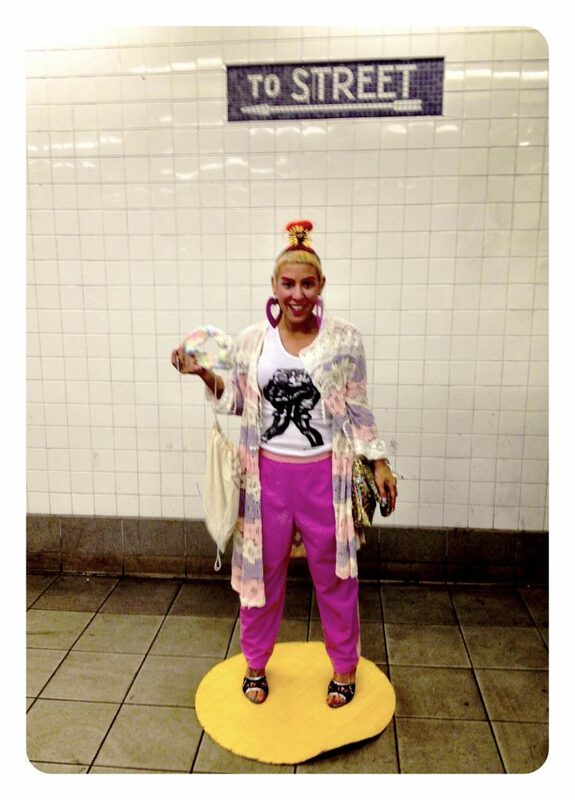 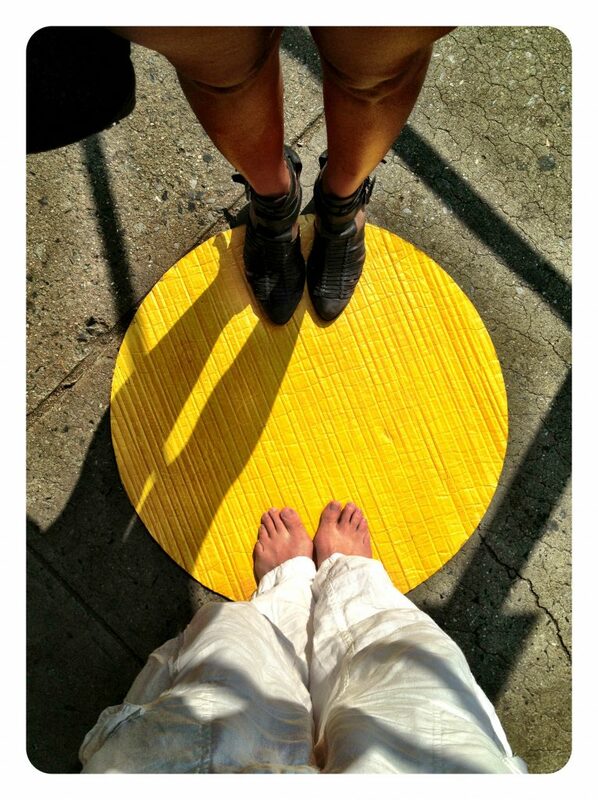 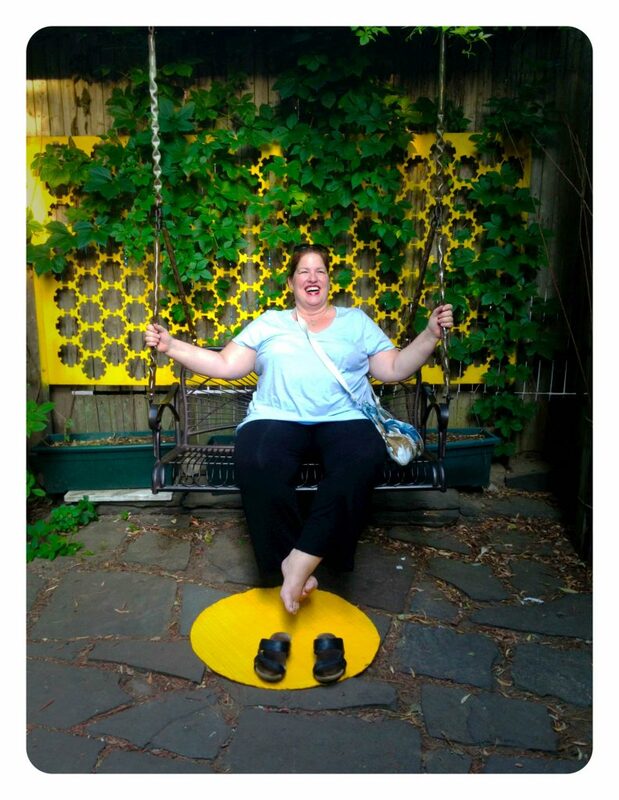 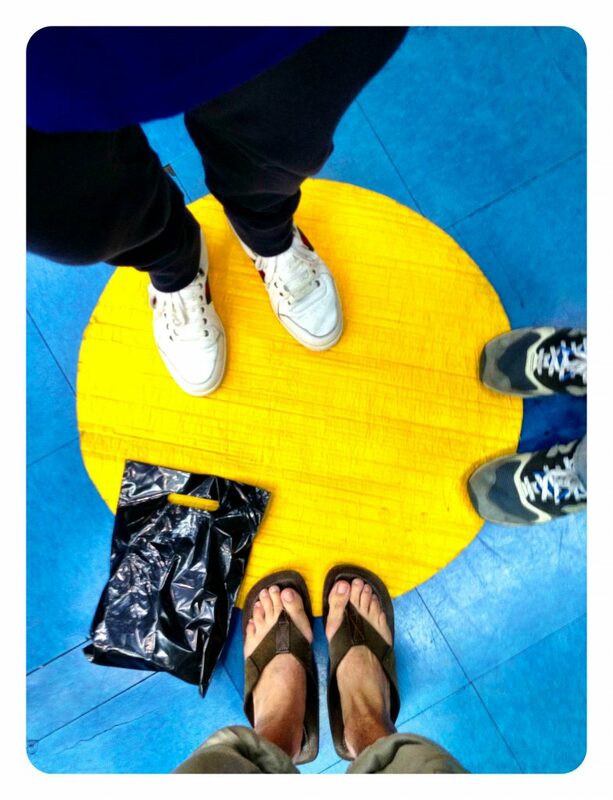 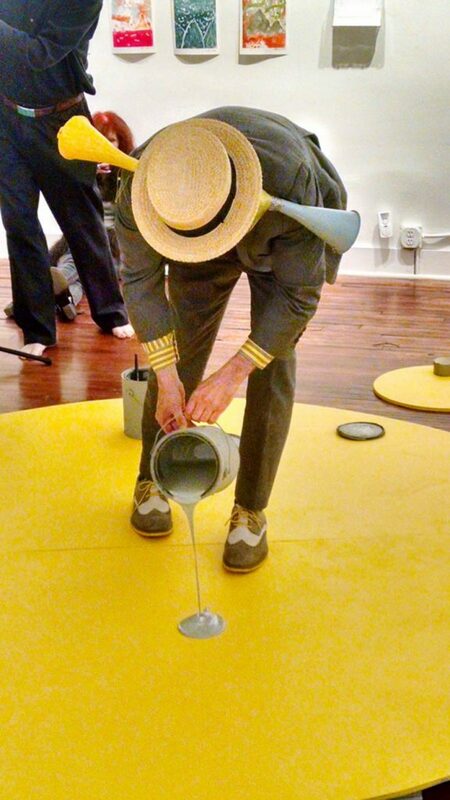 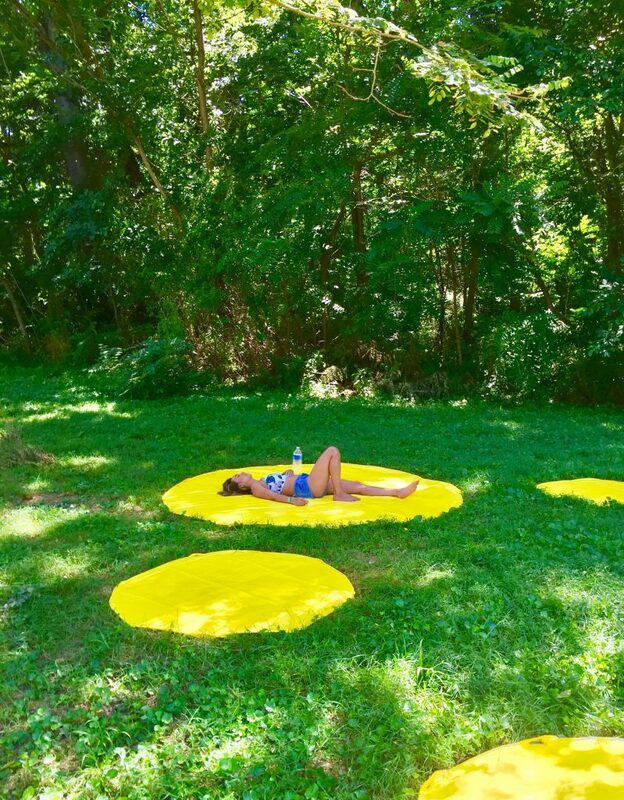 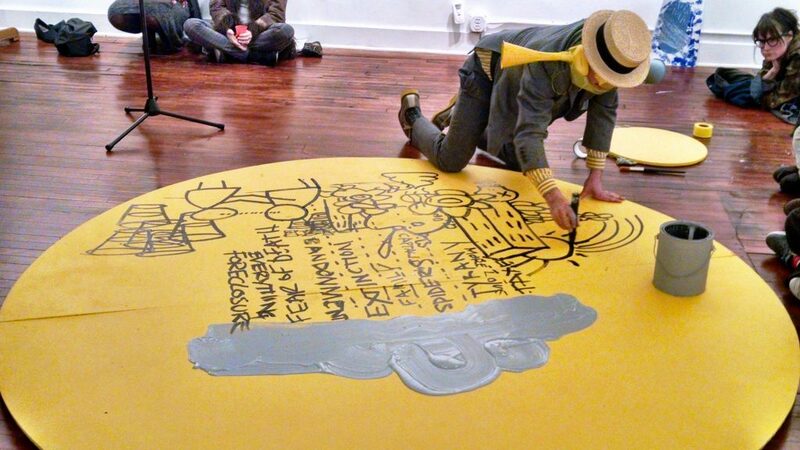 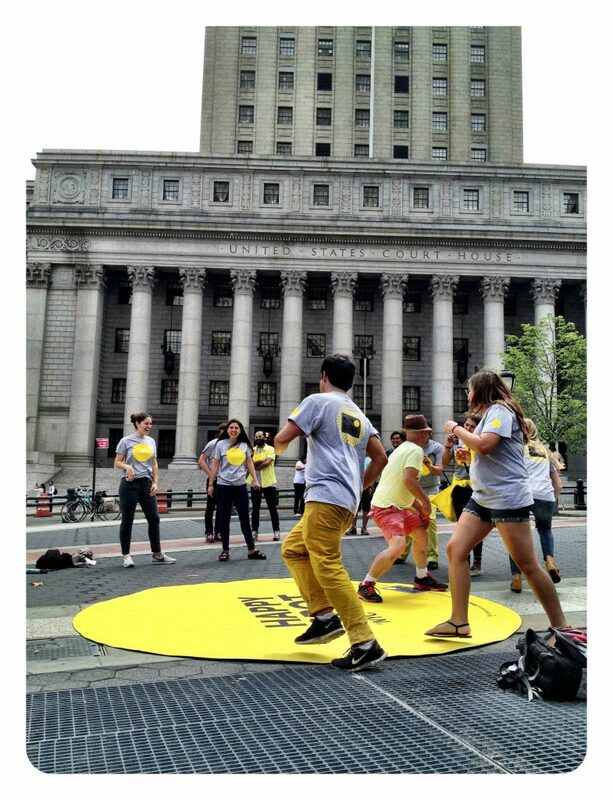 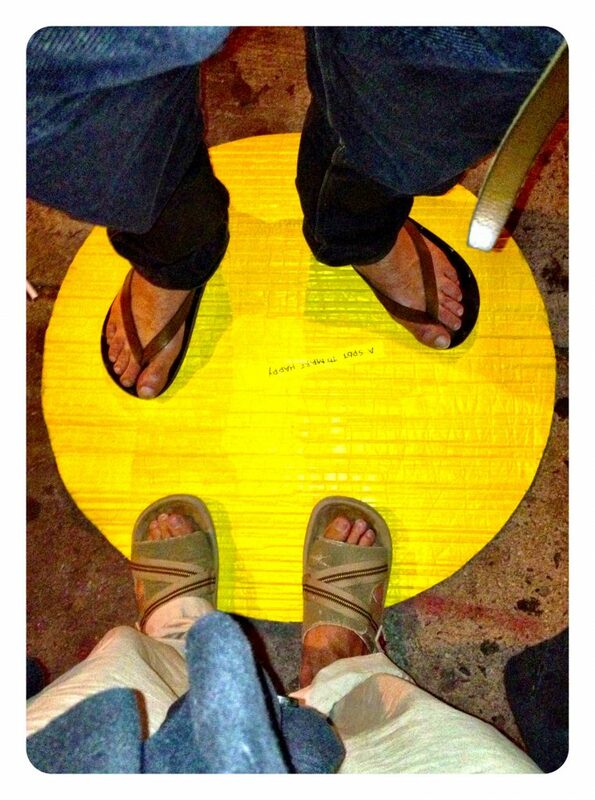 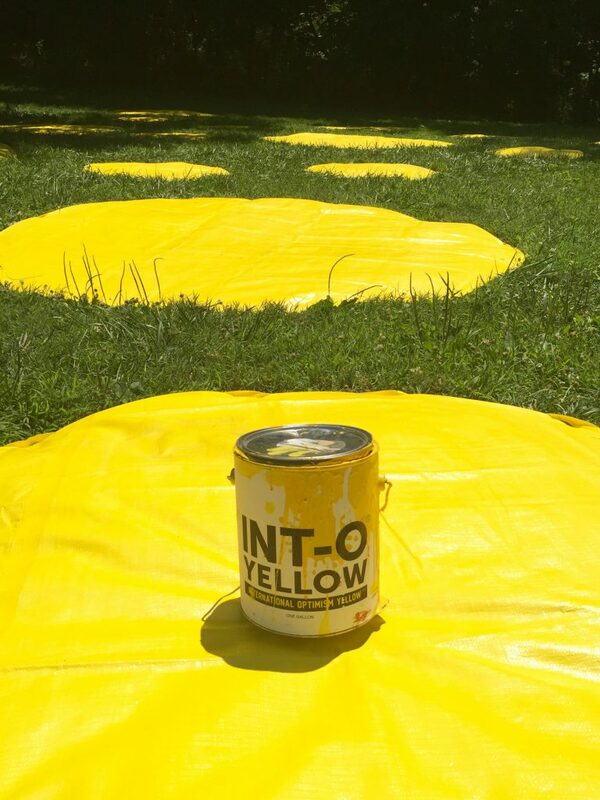 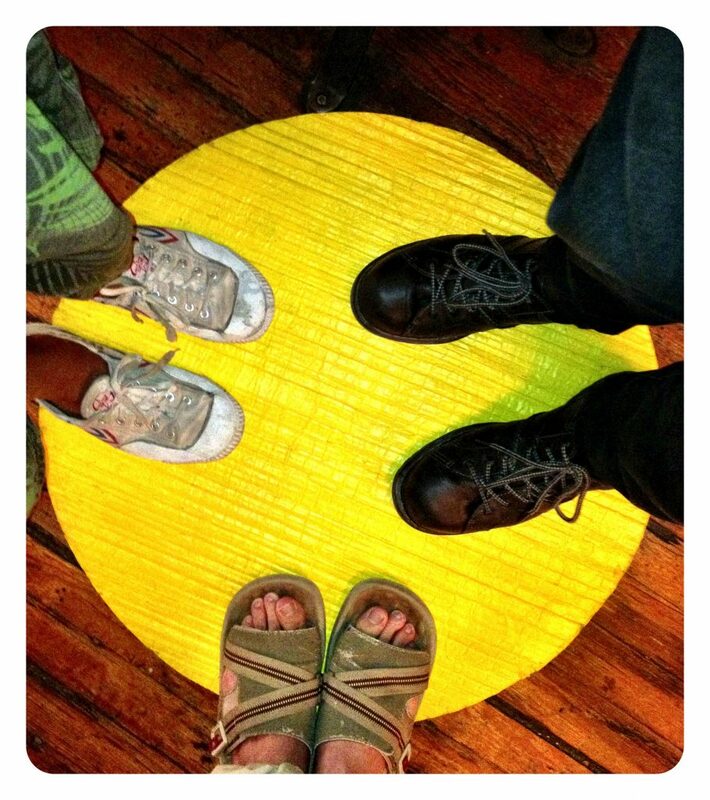 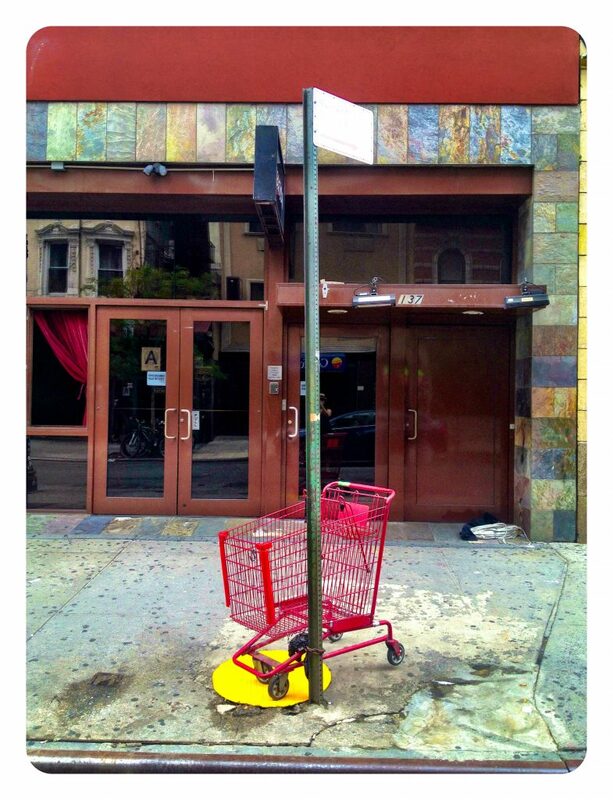 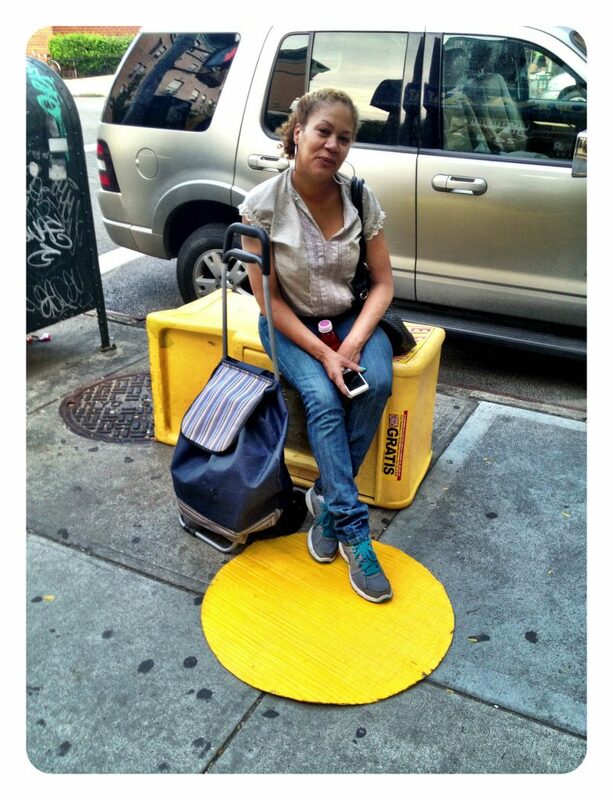 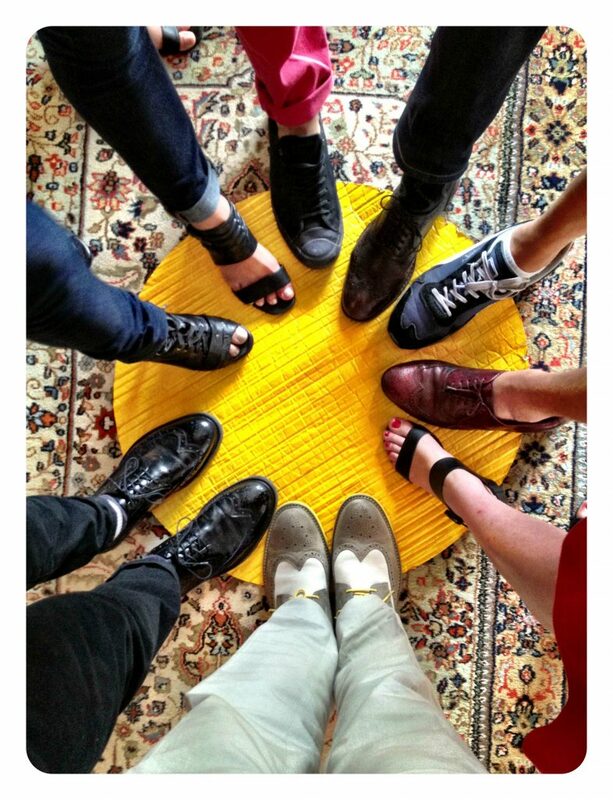 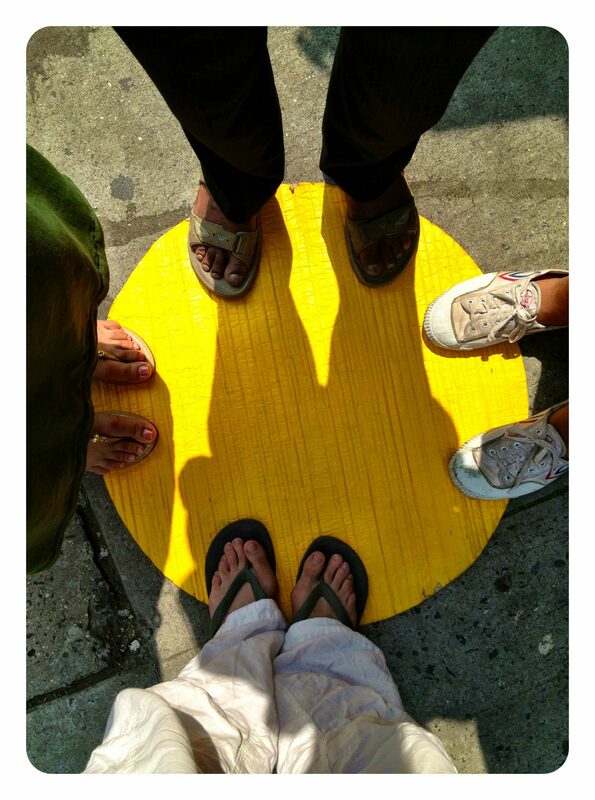 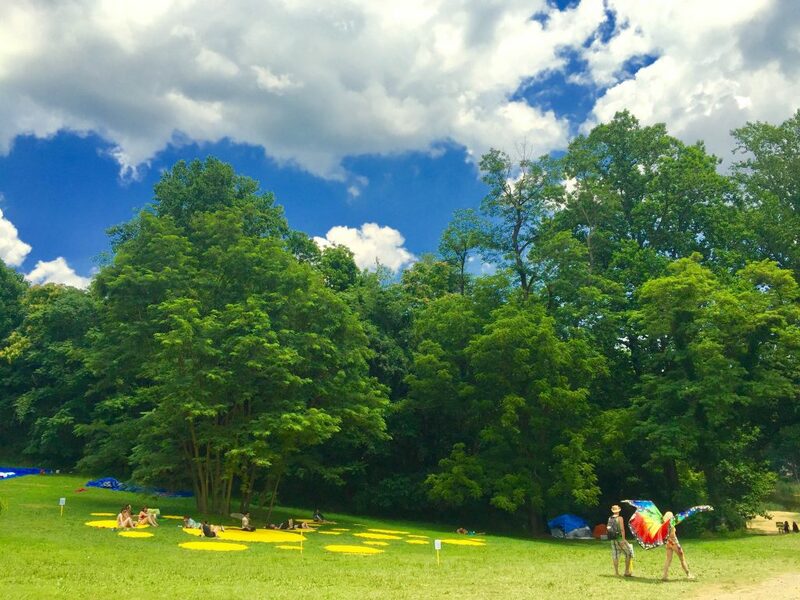 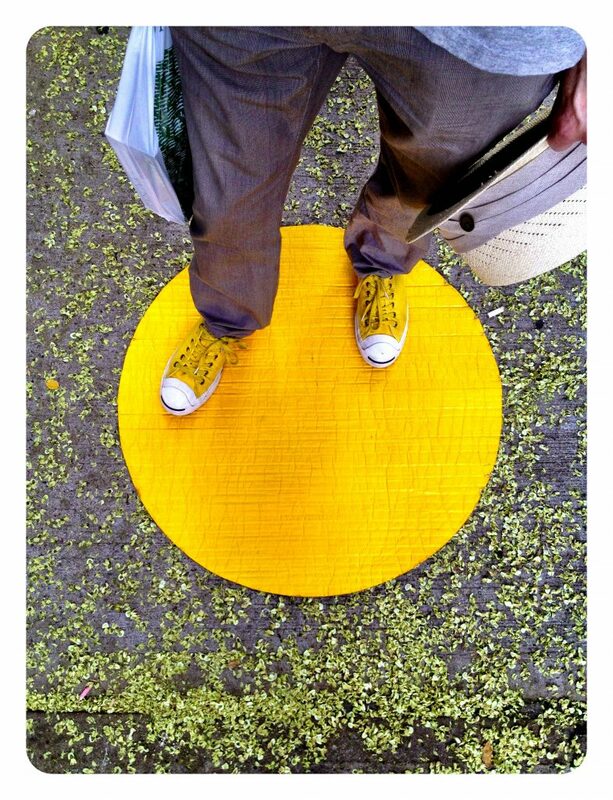 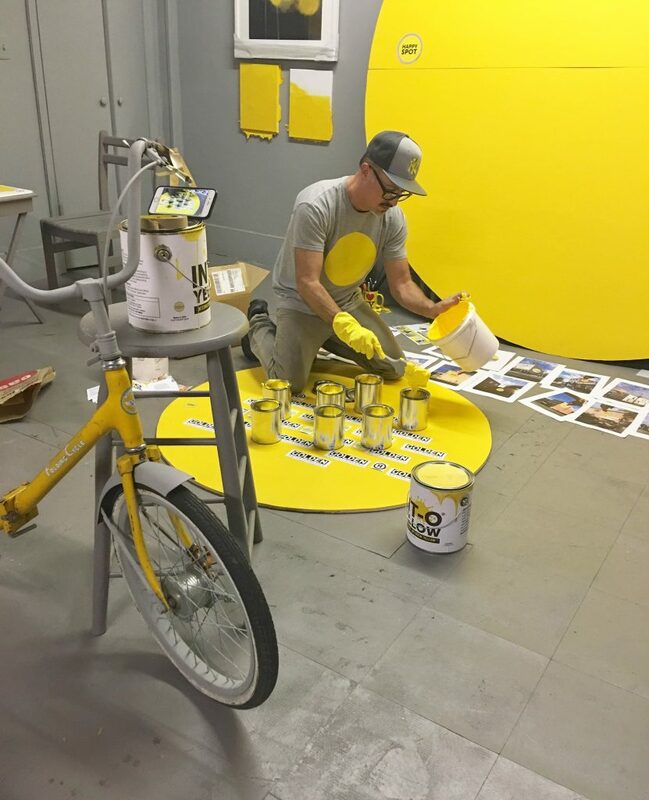 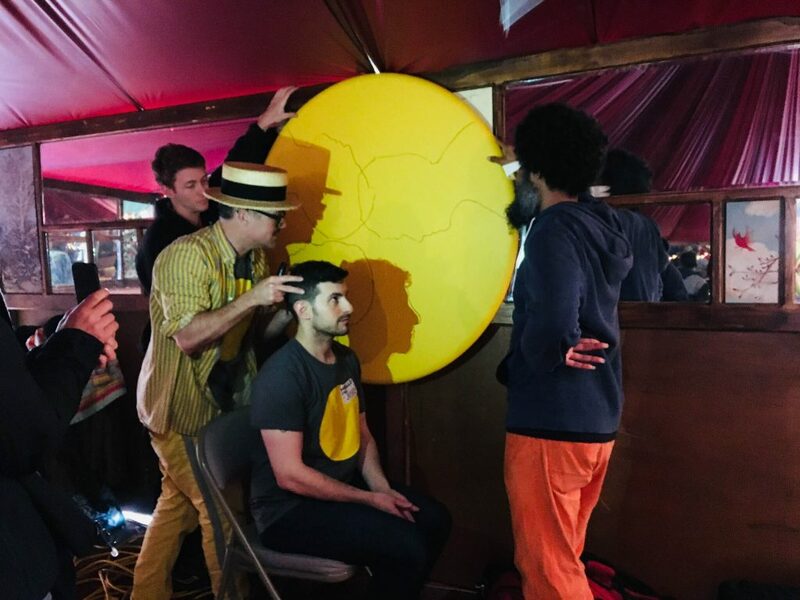 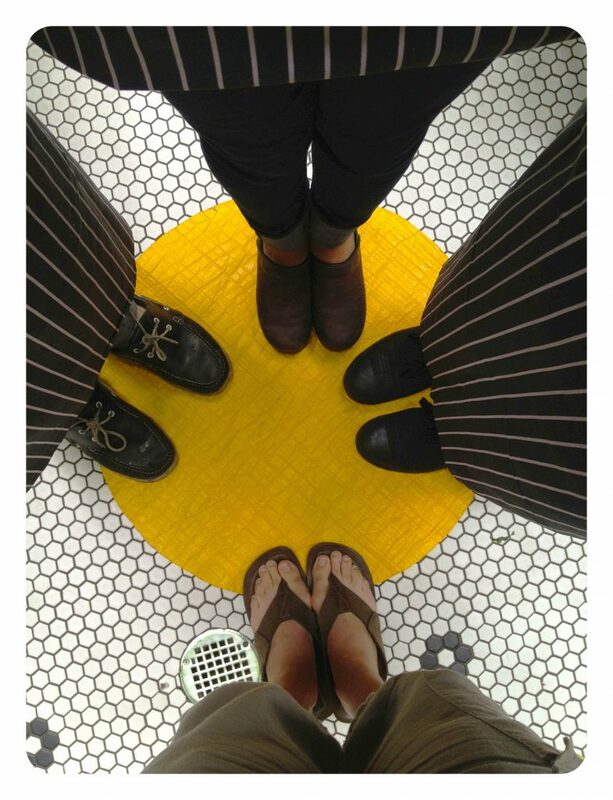 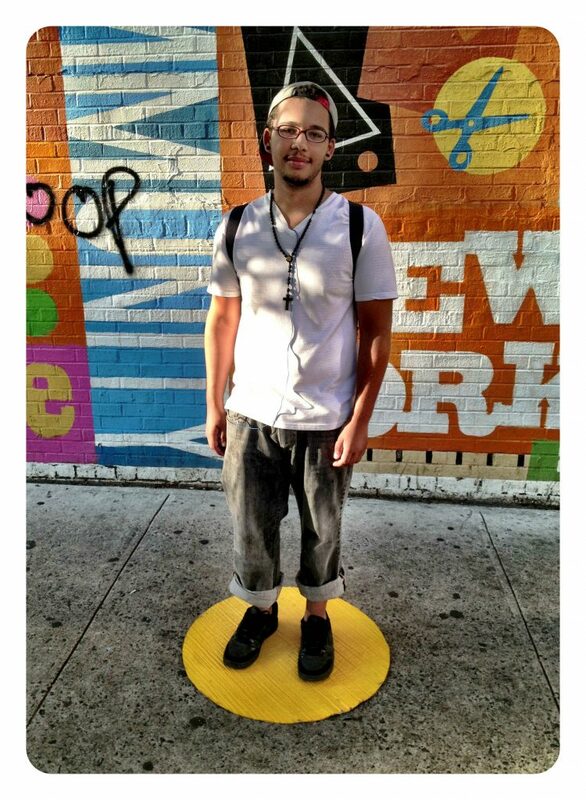 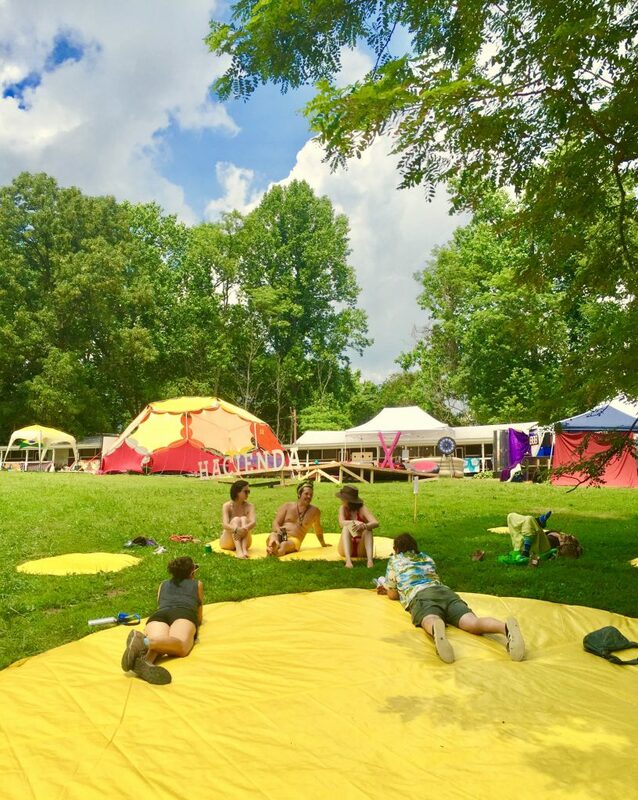 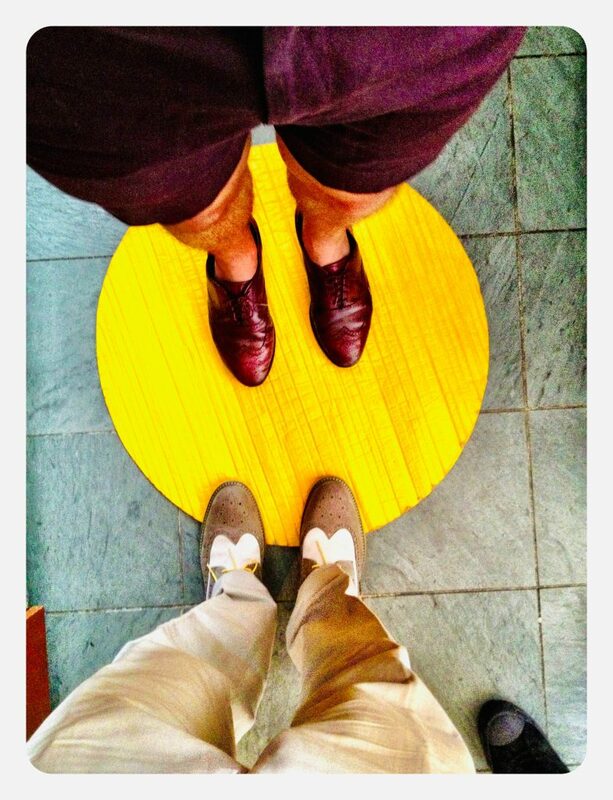 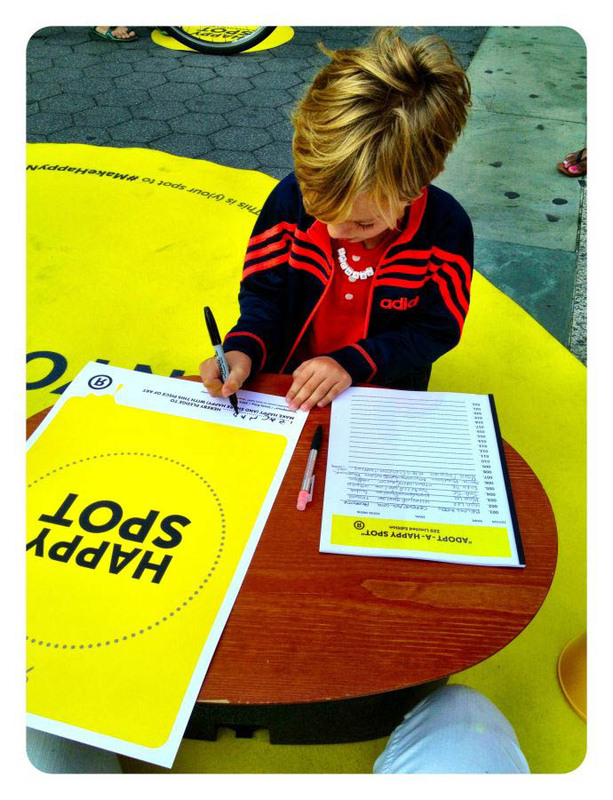 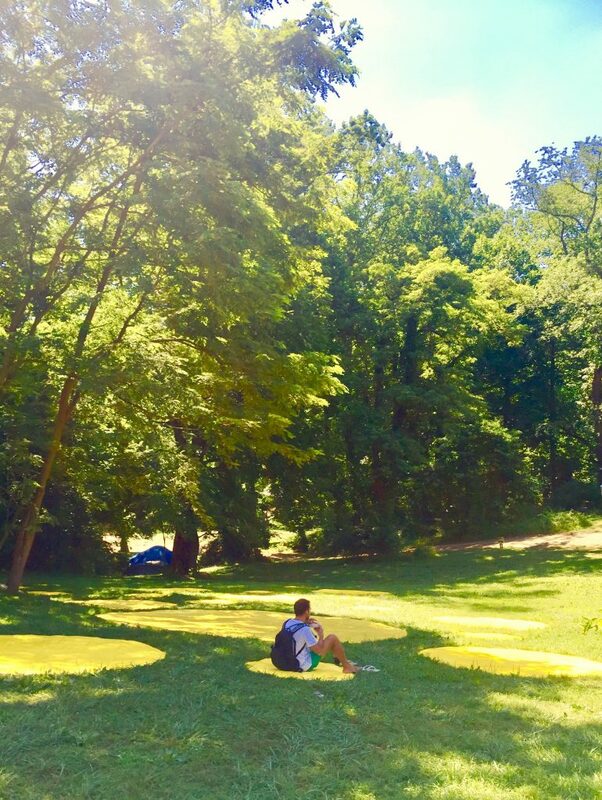 They are round, yellow markers of Hope and Happiness, serving as platforms for PDH (Public Displays of Happiness) and community connection through positive art and design. 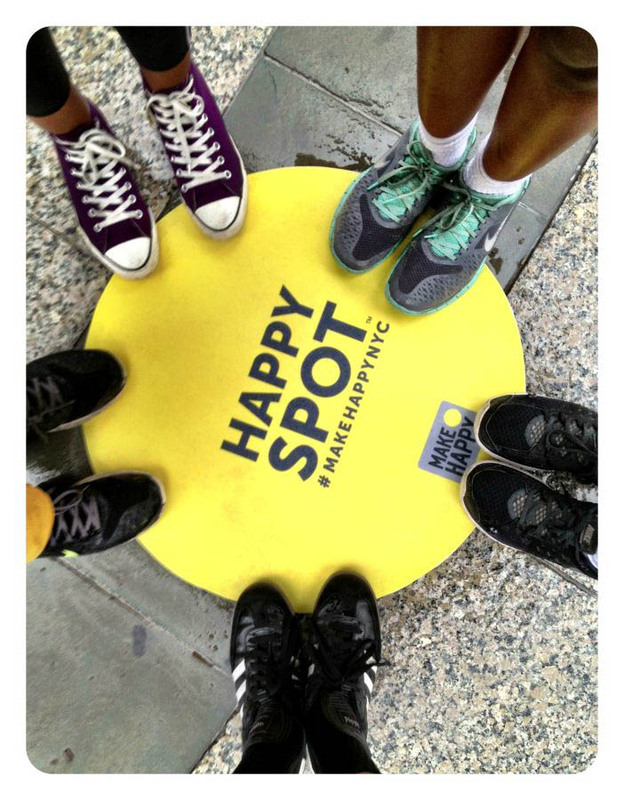 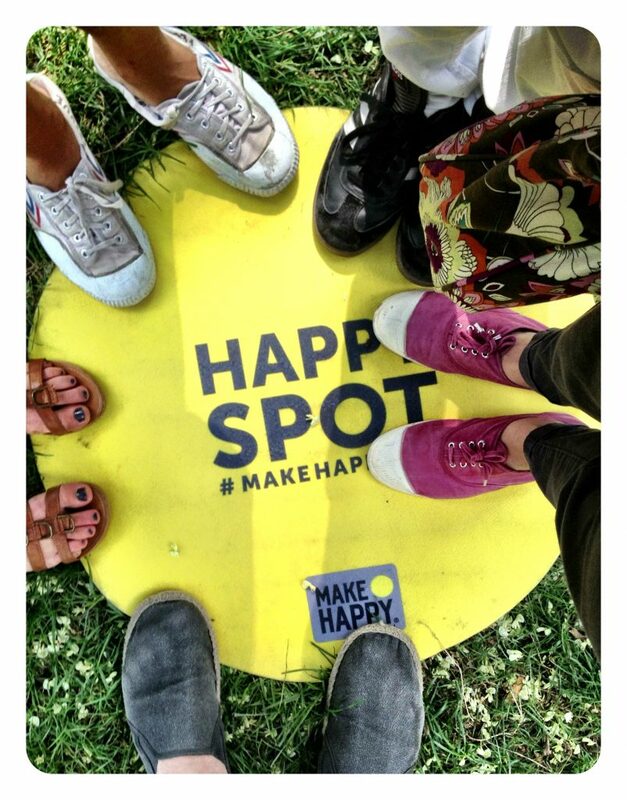 Collaboratively developed by local artists, community members and organizations, Happy Spots help brighten communities and beautify neighborhoods. 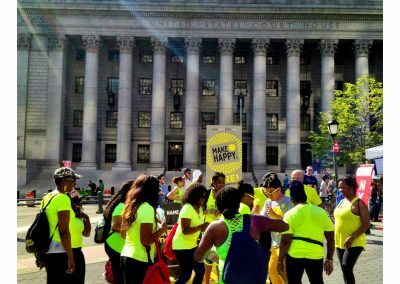 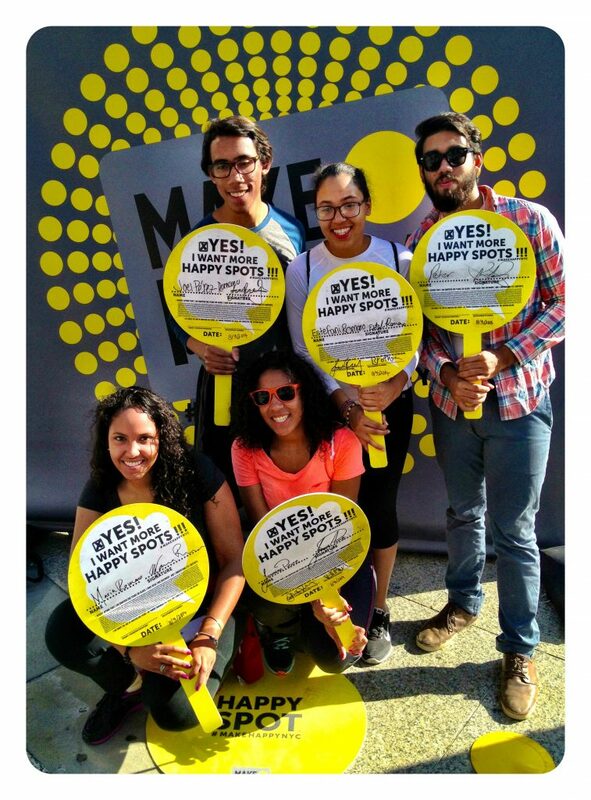 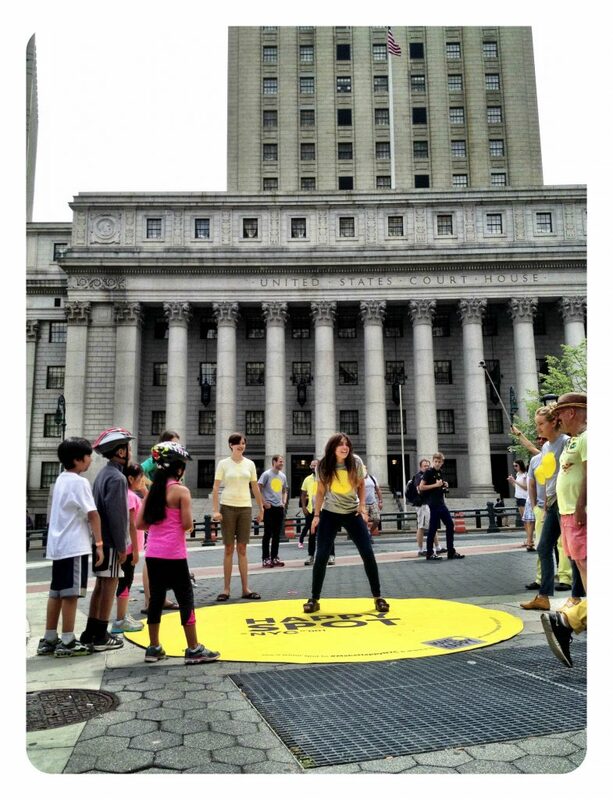 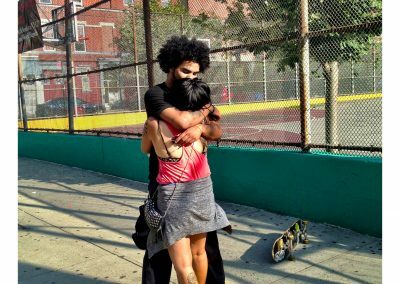 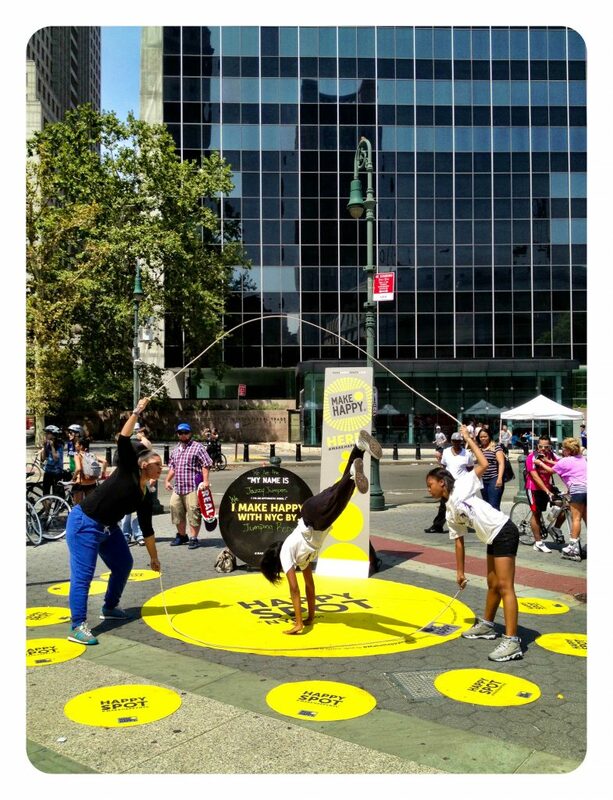 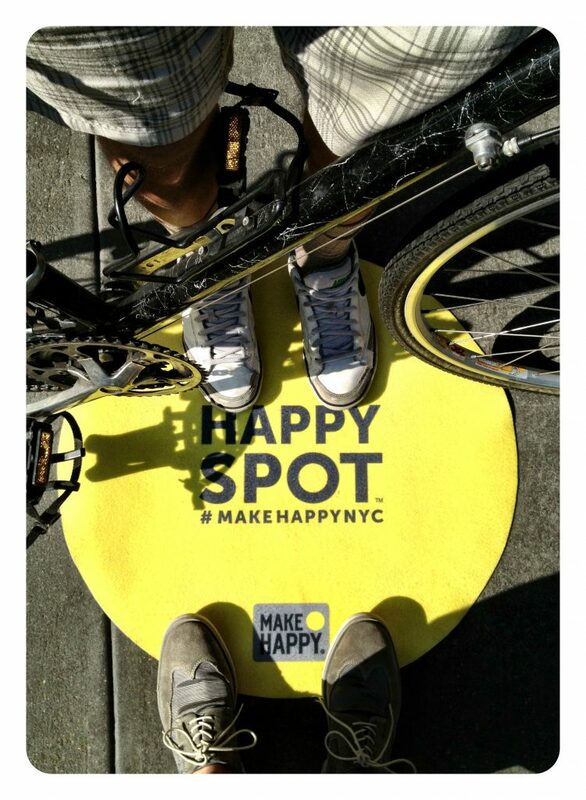 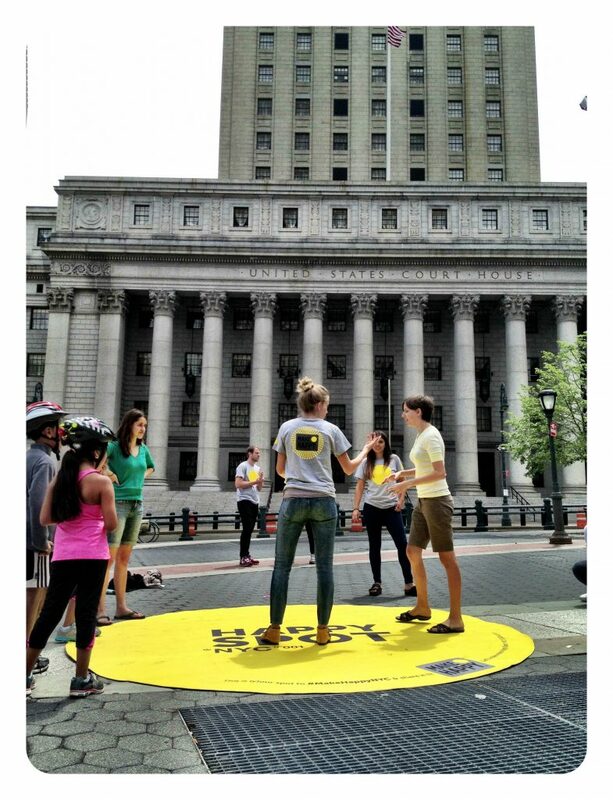 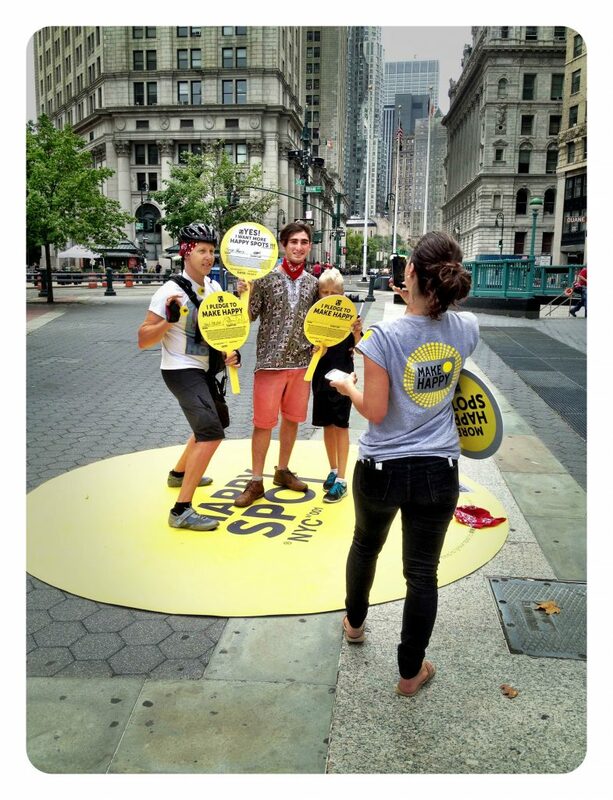 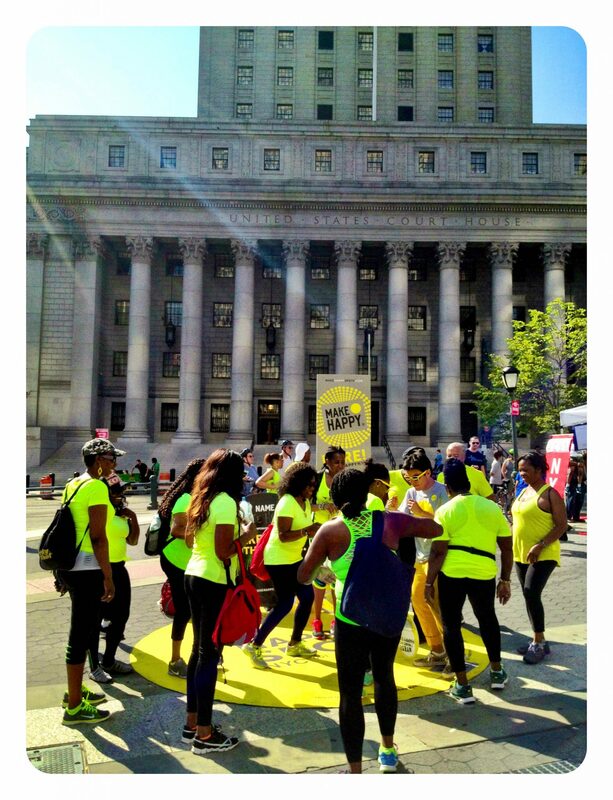 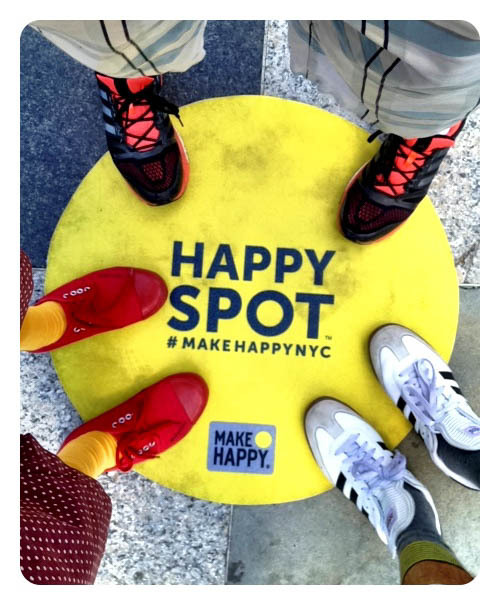 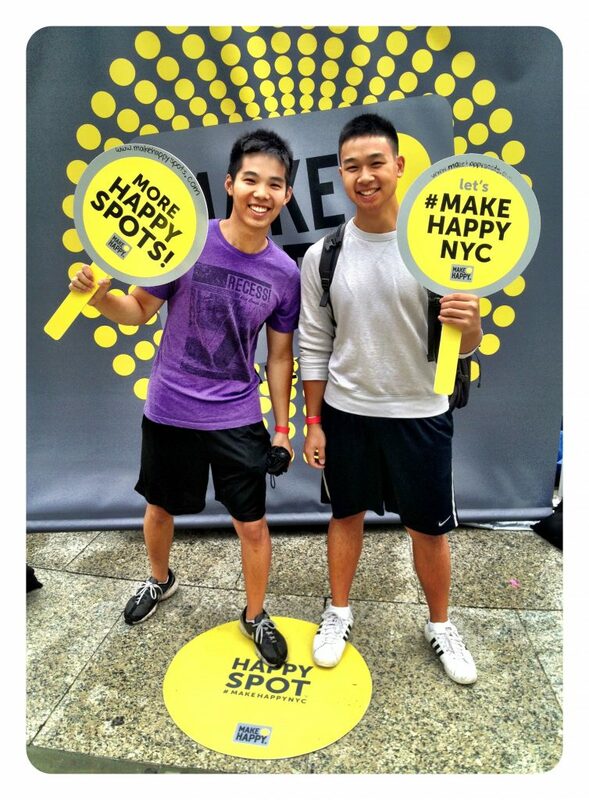 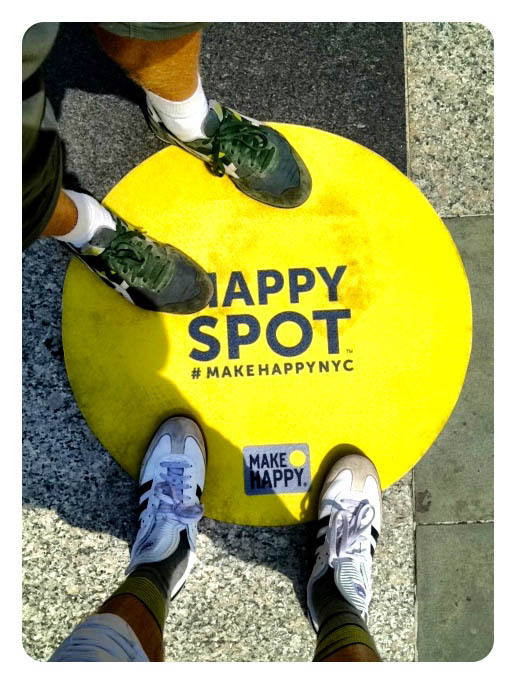 Happy Spots have been generated through partnerships with civic organizations like the NYC Department of Transportation, SF Parks and Recreation, as well as festivals like the PEX Music and Art Festival. 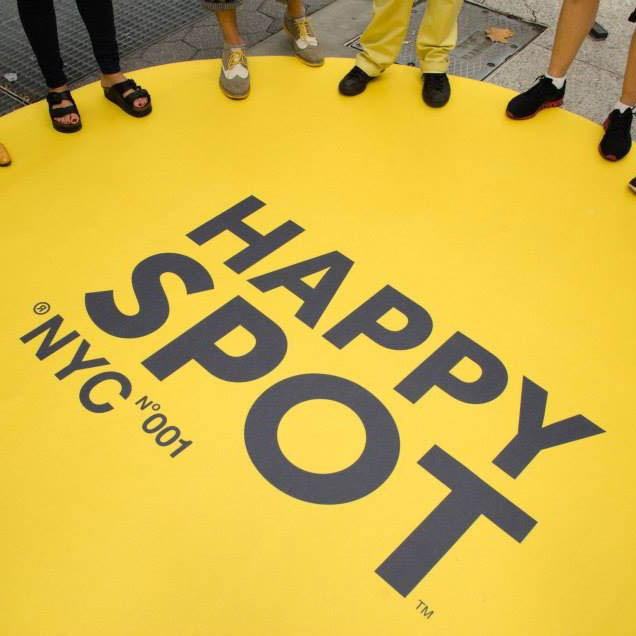 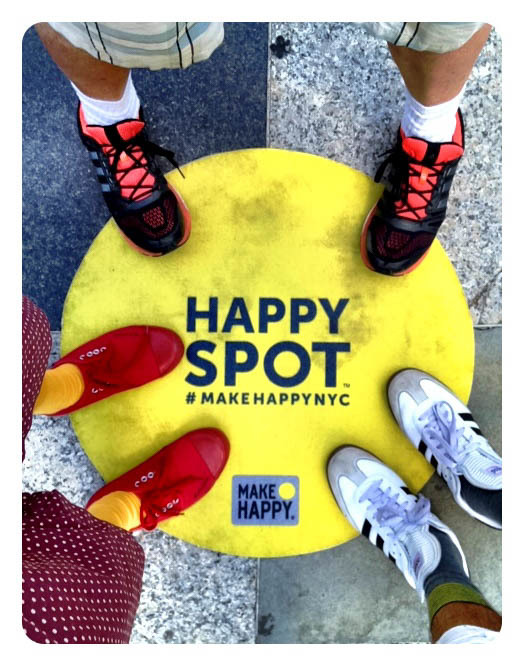 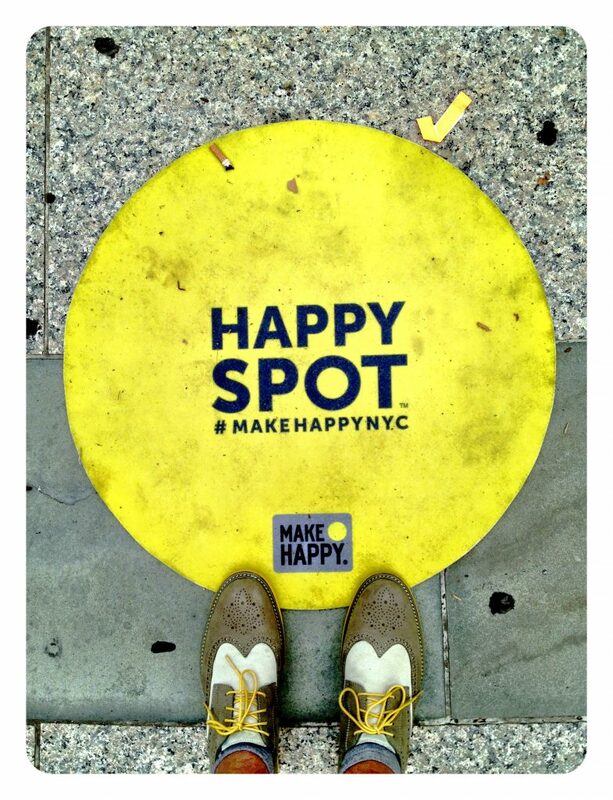 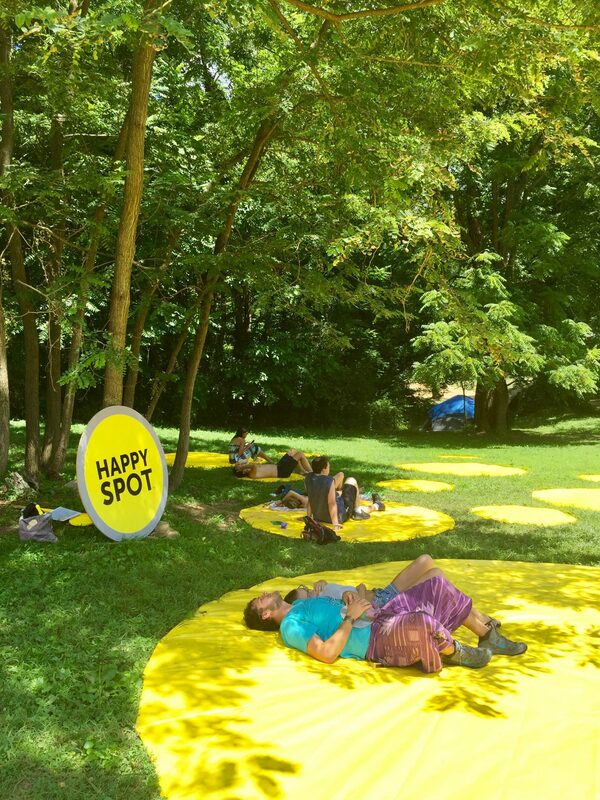 In addition, hundreds of Happy Spots have been placed in a range of public spaces and other events all encouraging and creating a brighter reality.